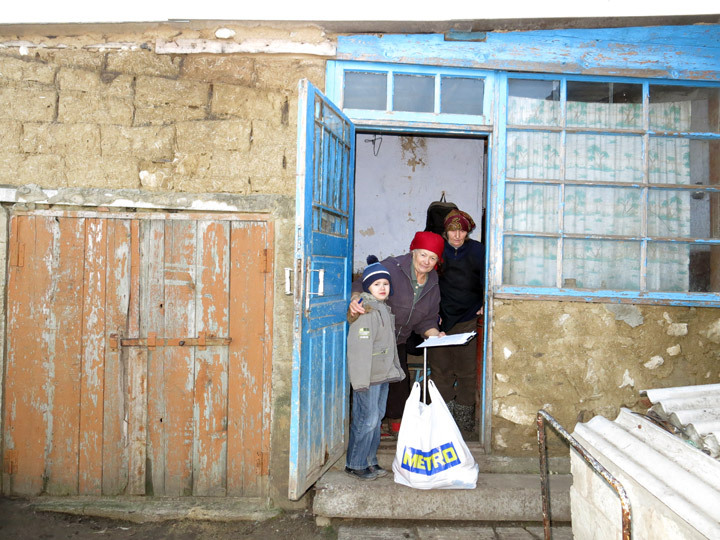 Many families, children and old people live under the poverty line in Moldova. In every village you can meet people who have no money for basic foodstuffs. They hunger. Projects that support such families, children and old people with food parcels are very important. It is a great help and joy for these people. 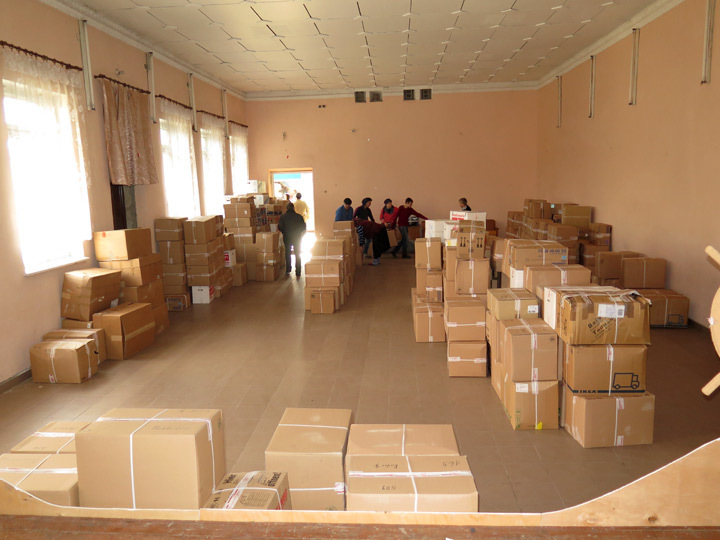 We could offer 86 food parcels to 68 poor families from Gangura, Grigorauca and Petropavlovca this year too. A parcel contained the following food: flour, sugar, oil, butter, tomato paste, rice, peas, preserves, buckwheat, pasta, meat, fish, sausage, biscuits, sweets, condensed milk, etc. The beneficiaries are very grateful, because they may have a real Christmas feast. The action in Gangura was financed by Franziskusgemeinschaft, Pinkafeld (AUT). �Pro Moldavia e.V.�, Gladbeck (DE) supported the action in Grigorauca and Petropavlovca. 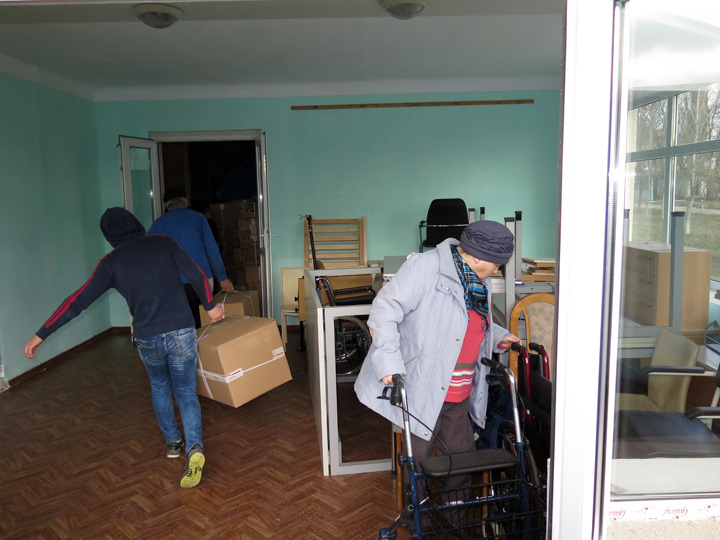 The German organization �Hilfe f�r Osteuropa e.V.�, President Mrs. Ursula Honeck, Todtnau, delivered over 14 t of humanitarian goods for the poor people of Moldova at the end of December. Dishwashing and detergents, hygiene products, clothing and shoes, bed linen, toothbrushes, towels, various articles for hospital, cutlery, etc. brought great pleasure to all the beneficiaries. 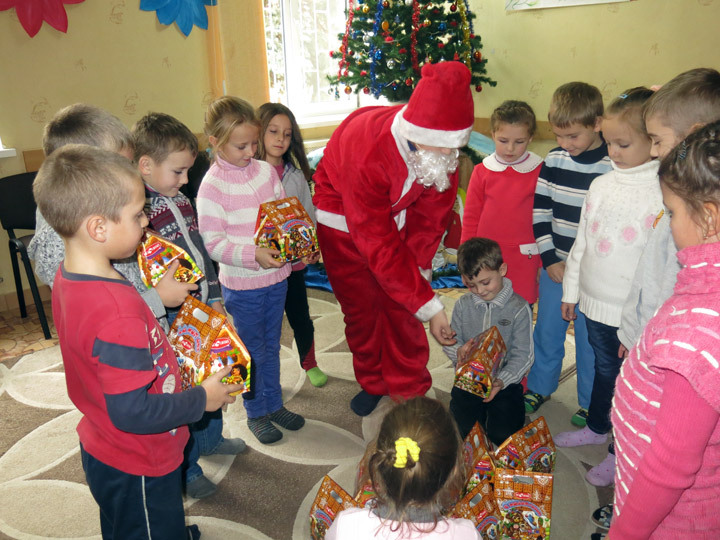 The humanitarian goods intended for the projects of PRO UMANITAS were distributed to poor children from the day care centers for children BUNVOLENTIA and �St. Maria� and to old people from the day care centers for elderly �Sf. Petru� and �Sf. Maria� from the district Singerei. Our poor people appreciate this help and express from the heart their gratitude for the support. Helping other people and especially sharing with them, that is the central message of St. Martin � and this is not only for children. The kindergartens St. Michael and St. Wolfgang celebrated together the St. Martin�s Day on the square in front of the elderly care home and from the sale of gingerbread geese and warm drinks, the kindergarten director B�rbel Stadler gave 350 euro to the former priest Hans Bock, who will forward the money to Moldova for the �soup kitchens� of the organization PRO UMANITAS. Priest Bock came to the handover in the kindergarten St. Wolfgang, where the children celebrated a �great moment in advent�. 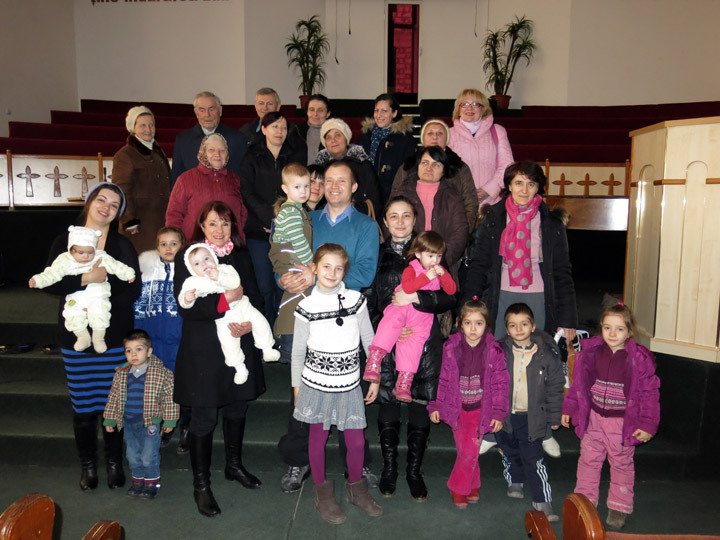 Priest Bock told the children that many parents in Moldova cannot give their children the minimum. During one of his visits there, he experienced that there was no heating in the kindergarten. With the donation, the kindergartens would keep the commands of Jesus, who asked �to love one another�. With this donation will be supported in particular the �soup kitchens� of the organization PRO UMANITAS. Seven star children brought 50 euros each to the priest and all children sang the song �Star of Bethlehem shows us the way� as a choir with band. Assisting people in need and helping them, that is the will of Jesus, whose birth is celebrated these days, so the priest. The St. Nicolas day is celebrated in Moldova on December 19. The children are waiting impatiently for this day: will Saint Nicolas bring them a gift or not? The little ones clean their shoes already in the evening and are full of joy. 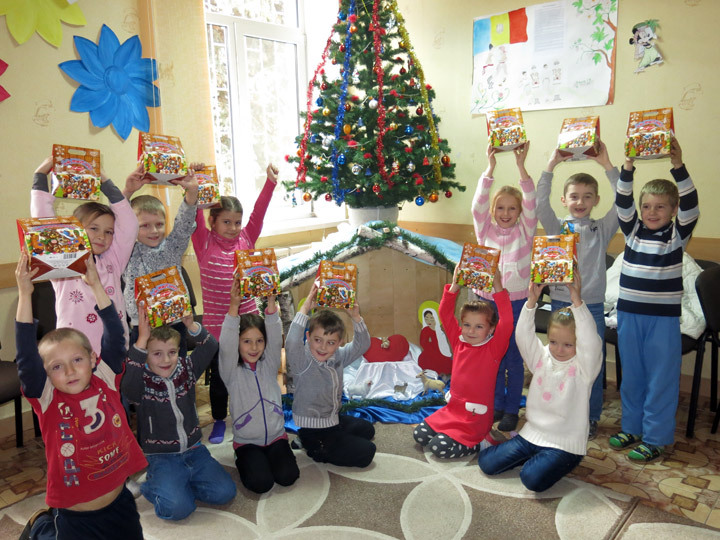 The poor children from our children projects hope that Saint Nicolas will also remember them. And of course, he did not forget those poor kids. 996 boys and girls woke up happy with sweet gifts. Priest Hans Bock, Schierling supported the Christmas action. 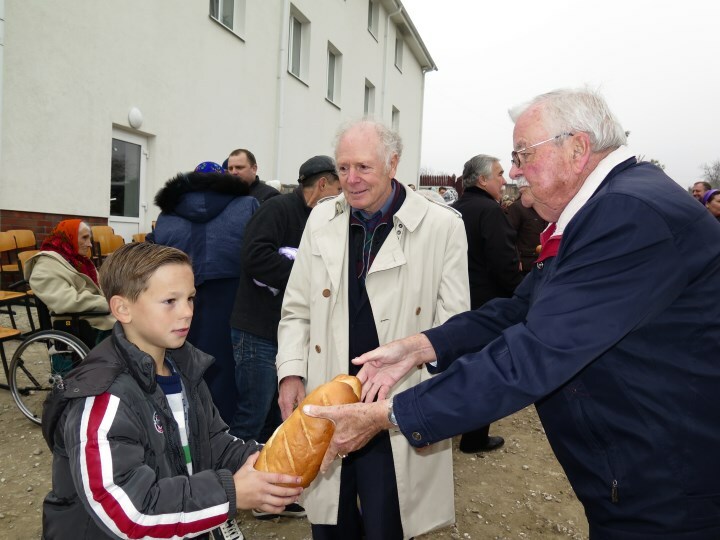 The President of Hilfswerk Liechtenstein, Mrs. Beatrice Amann, takes care of the needy people from Moldova. He delivered a transport with humanitarian aid at the beginning of December as every year: clothing and fabrics, furniture, rehabilitation aids, chocolate and others. There were delivered over 10 t of humanitarian aid. These humanitarian goods are a great help for poor children, old people and families. Beneficiaries are mainly from our projects. They are very grateful for the great support. 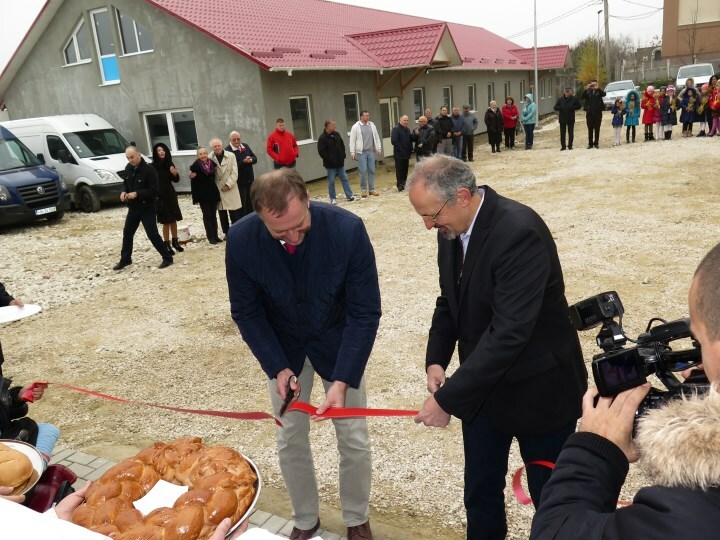 - Opening of the bakery in Sarata-Galbena. 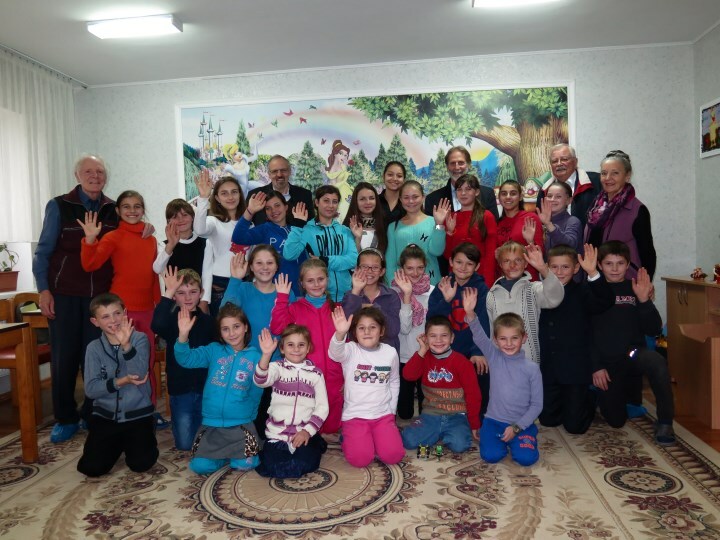 Mr. Peter Garst, the President of the Swiss organization �Help for children in need� (HCN), visited Moldova together with his wife, Mrs. Martha Garst, Mr. Heinz Luginb�hl, Mr. Edwin Hollenstein and Mr. Kaspar Haug. It was the 27th trip of Mr. Garst. 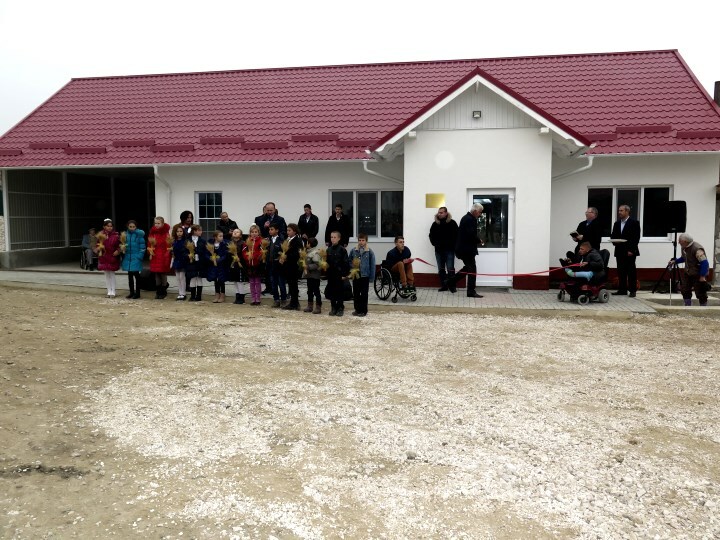 The main focus was the official opening of new projects: two day care centers for children in the North of Moldova, a day care center for elderly in the village Petrovca and a bakery in the village Sarata-Galbena. At the same time, our partners visited their children projects and were happy about the beautiful results of the children. Everywhere, they were received by the kids with handmade gifts. 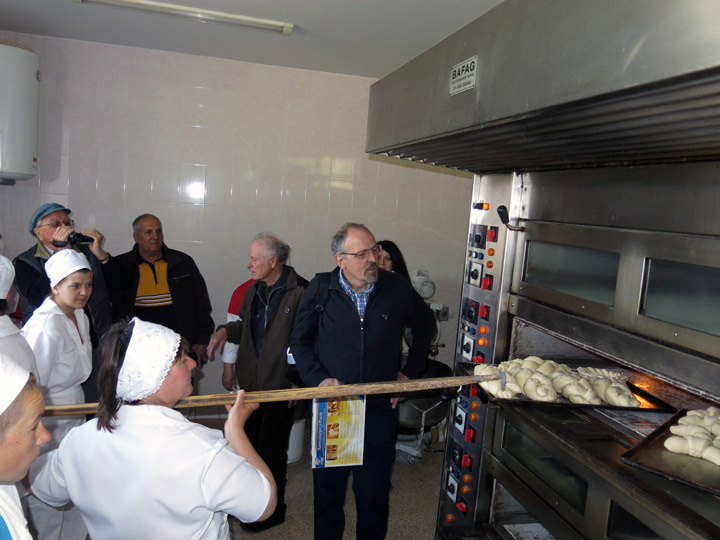 After five months of hard work, the inhabitants of the village Sarata-Galbena in the district Hincesti and nearby villages have great joy: the official opening of a bakery. 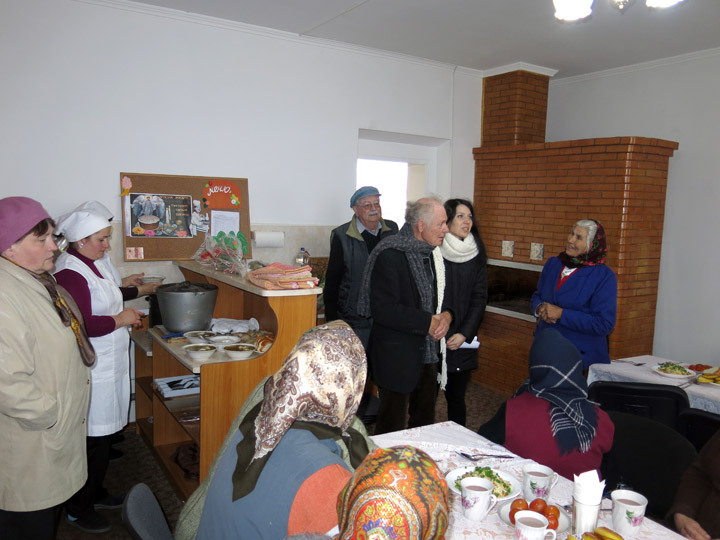 This will supply now an old people�s home, a soup kitchen, a centre for orphans, as well as physically and mentally disabled children, poor families from Sarata-Galbena and nearby villages with bread free of charge. It is planned to produce and distribute 1200-1500 breads per day. 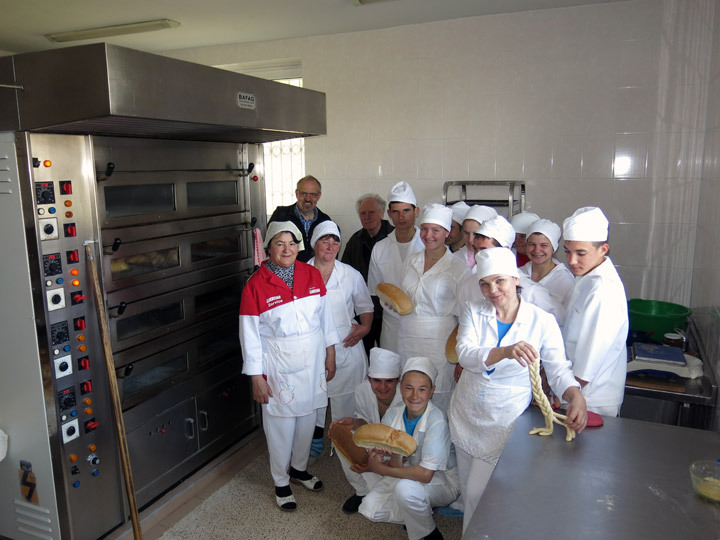 The official opening and blessing of the bakery took place on November 6th. The partners and donors from Switzerland and Germany participated in the event: Peter Garst, the President of the Swiss organisation �Help for Children in Need� (HCN), Mrs. Martha Garst, Mr. Heinz Luginb�hl, Mr. Edwin Hollenstein, Mr. Kaspar Haug and Dr. Georg Vierling, Rotary member from Germany. The construction works were financed by HCN and a private family from the United States. The cost for the equippment were assumed by HCN and the Rotary clubs: Heilbronn, Naumburg/Saale, Bielefeld-Waldhof, Germany. This day was full of beautiful events. Together with our partners � Mr. Peter Garst, the President of �Help for Children in Need� (HCN), Switzerland, Mrs. Martha Garst, Mr. Heinz Luginb�hl, Mr. Edwin Hollenstein � we could participate in the official opening of the new day care centers for children BUNVOLENTIA Ciuciuieni and BUNVOLENTIA Iezarenii Vechi, as well as of the day care center for elderly �Sfinta Maria� in the village Petrovca. We saw many happy faces of children and old people. 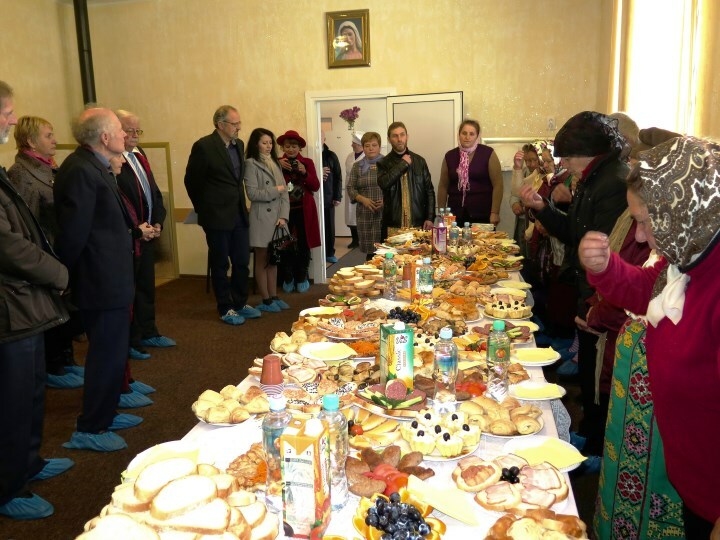 The day care centers for children and the elderly center were also blessed by the priests. Within these projects, the beneficiaries receive full meals, they are engaged in various activities, they are also physically and mentally cared, as far as it is possible. The running costs are taken over by HCN. Overall the organization HCN will finance 16 day care centers for children and two day care centers for the elderly in the future. A meeting with the students from Moldova Bursary Program takes place at the beginning of each new academic year. This year the student meeting was organized on October 10. Our students have the opportunity to get to know each other, to share their experience with the new students, to talk about their future plans. In addition to that the conditions of the project are explained and a contract with PRO UMANITAS is signed. The project includes 50 students from needy families and is financed by Solon Foundation / Luzern. They are very grateful for the offered opportunities and could express their appreciation to Mr. Douglas Funk in letters of thanks. 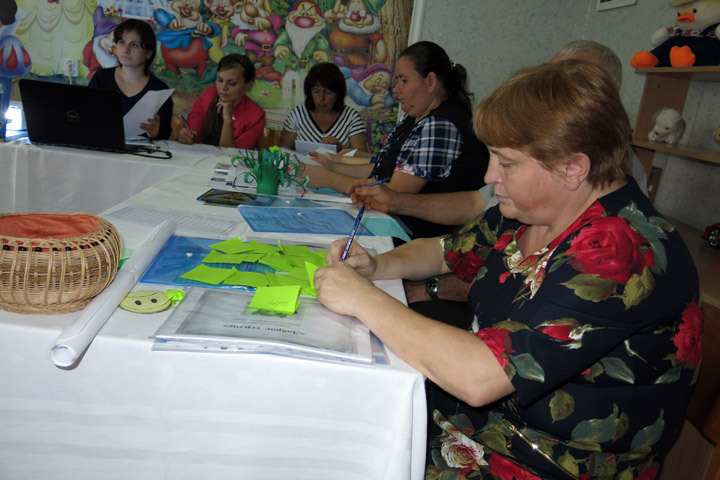 The 16th seminar for coordinators and educators of the day care centers for children BUNVOLENTIA was organized on Saturday, September 26, 2015. 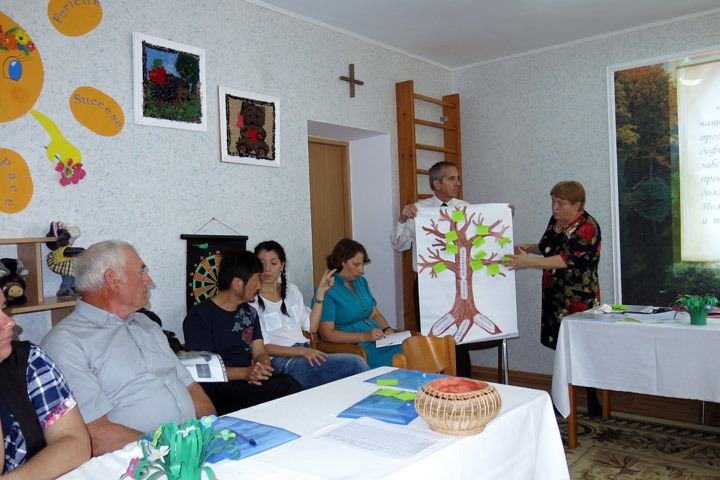 The seminar was held within the day care center BUNVOLENTIA Cojusna. Each day care center was represented by an educator, so that altogether 22 persons were present. 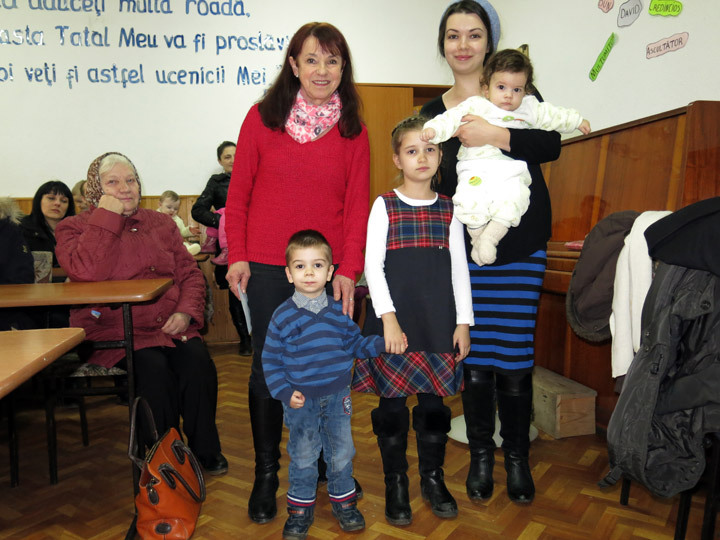 Mrs. Svetlana Pasa, our local coordinator in the district Singerei, has a great experience in working with children from needy, socially vulnerable families. She prepared a presentation on the theme of �Social work in our children projects�, as well as various role-playing games. The educators had the opportunity to express their problems and difficulties and to find a solution together. There was also a discussion about the financial and narrative reporting. The 16th seminar was very productive, instructive and informative. The boys from the day care centers for children BUNVOLENTIA Gangura II were surprised with a beautiful gift at the beginning of the new school year. 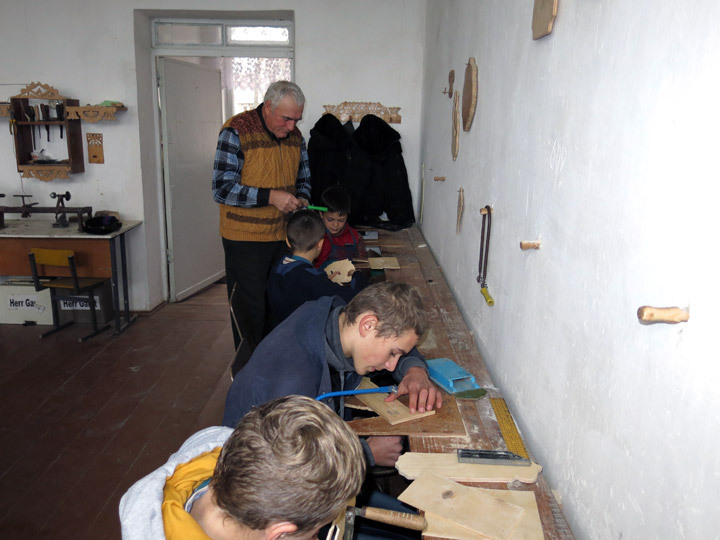 The workshop, where they spend their time after school and are introduced in the joinery art, was repaired and equipped with new tools. The repair works in the workshop were urgent needed. 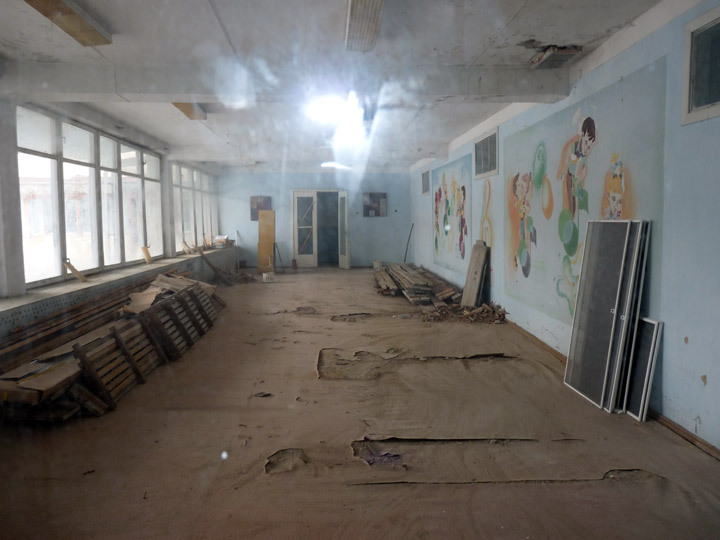 The room was in a very poor condition. The heating system and the power supply were damaged. The boys could hardly work there in the winter time. The creative and imaginative work of the boys is ensured now with the repair of the workshop. Nothing can disturb the creation process. 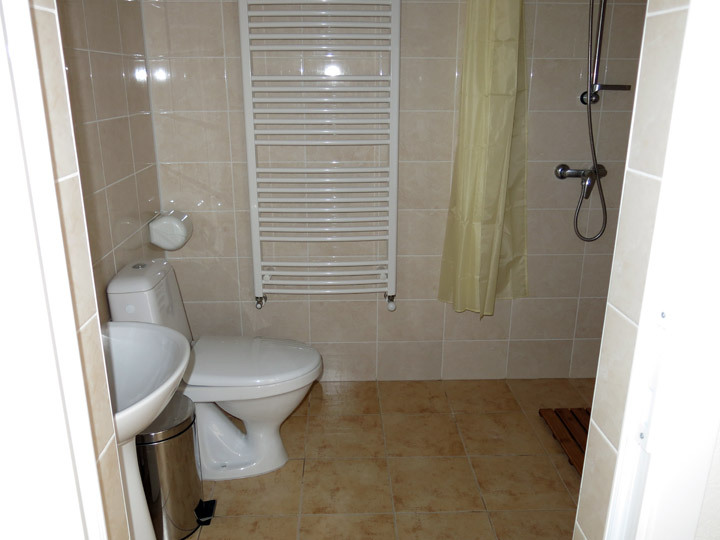 The room is bright, clean, warm and dry. 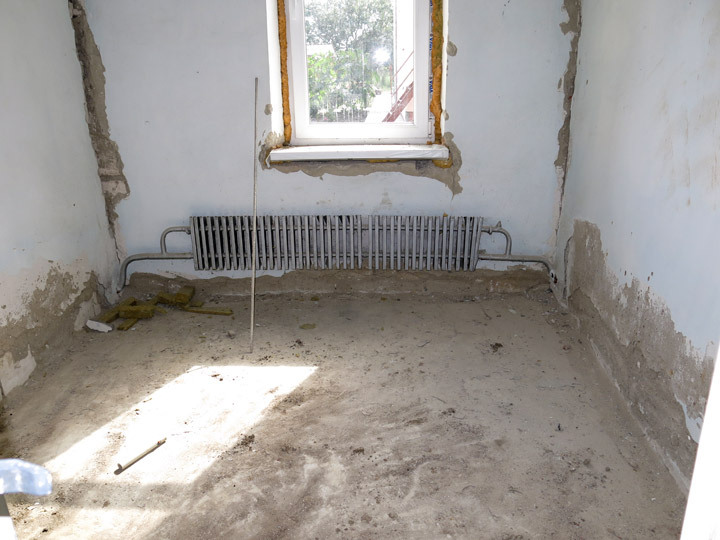 The repair works were financed by the Swiss organization �Help for Children in Need� (HCN) and by the German organization �Pro Moldavia e.V.�. �Pro Moldavia e.V.� supported also the purchase of new tools. The next transport with humanitarian aid from the German organization �Hilfe f�r Osteuropa e.V.� / Todtnau came to Moldova at the end of August. More than 3 t of humanitarian aid were allocated to PRO UMANITAS. 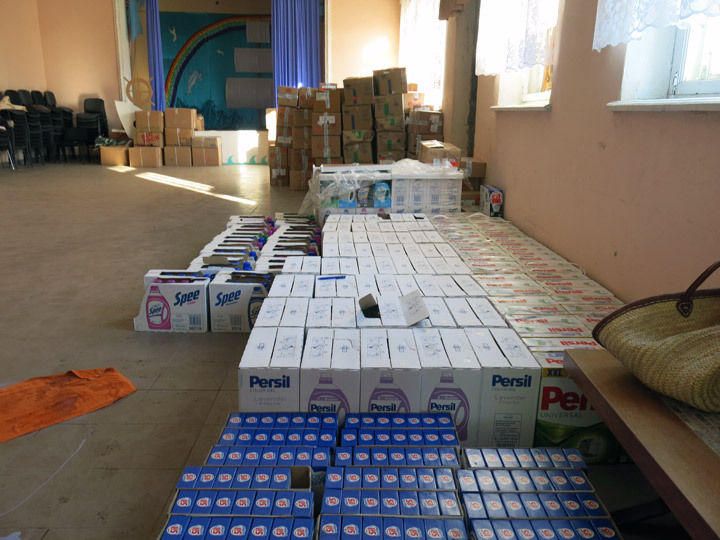 Mrs. Ursula Honeck, President of �Hilfe f�r Osteuropa e.V.�, delivered detergents and washing liquids, clothes, shoes, bed linen, toothbrushes, dishes, diapers and other things. The humanitarian aid was distributed to our poor children and old people. Thus, the day care centers BUNVOLENTIA, the day care center �St. Maria� and the day care center for elderly �Sf. Petru� were supplied with good and necessary things. Transports with humanitarian aid are very important for poor people. The beneficiaries are very grateful for the commitment and help that they received. The village Petrovca is a small poor village in the North of Moldova. The old people and children remain here, while young women and men are in search of better future abroad or in the capital. 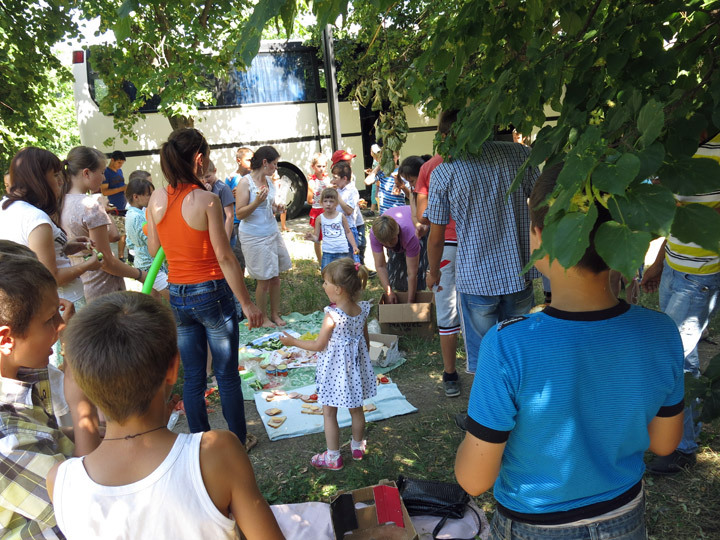 Two day care centers for needy children work in this village: day care center BUNVOLENTIA Petrovca and day care center BUNVOLENTIA Vladimirovca (for children from the neighboring village Vladimirovca). Children are under good care. As to old people, the situation is very bad. They have poor living conditions, small old-age pension, no money for medicines, food, etc. Thus, it was decided to open a day care center for the elderly. 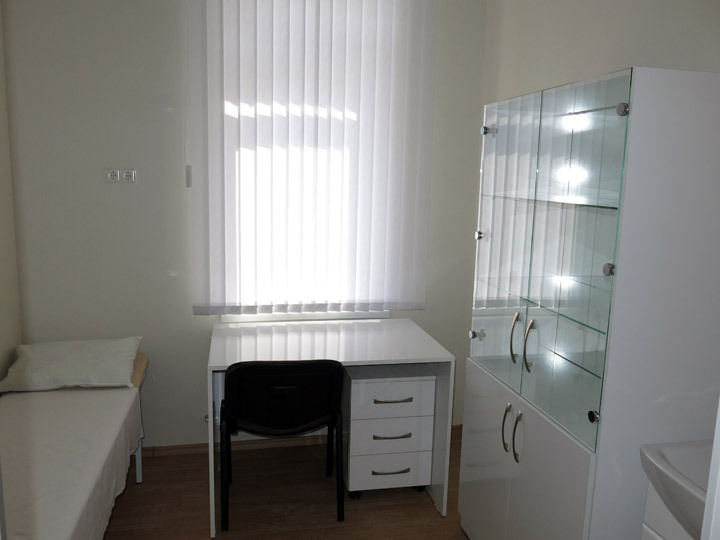 The mayor�s office gave us some rooms that needed repair. The repair works are in full progress at the moment. Soon, a home for 25 old, lonely, ill people will be managed. 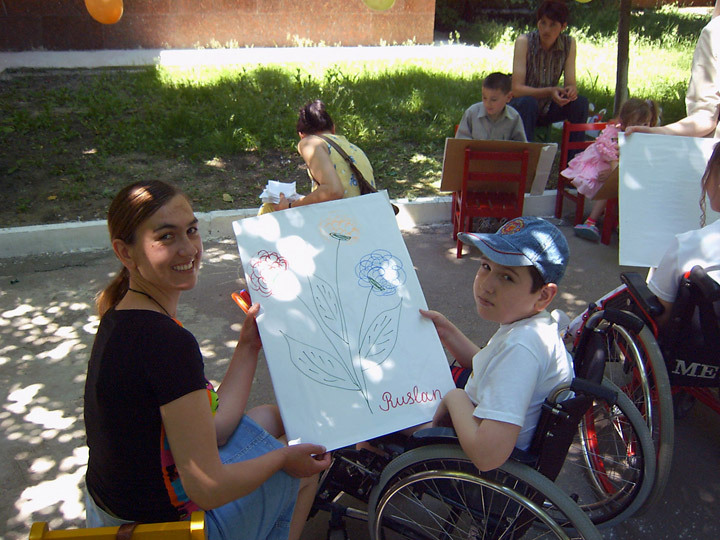 The day care center for children �St. 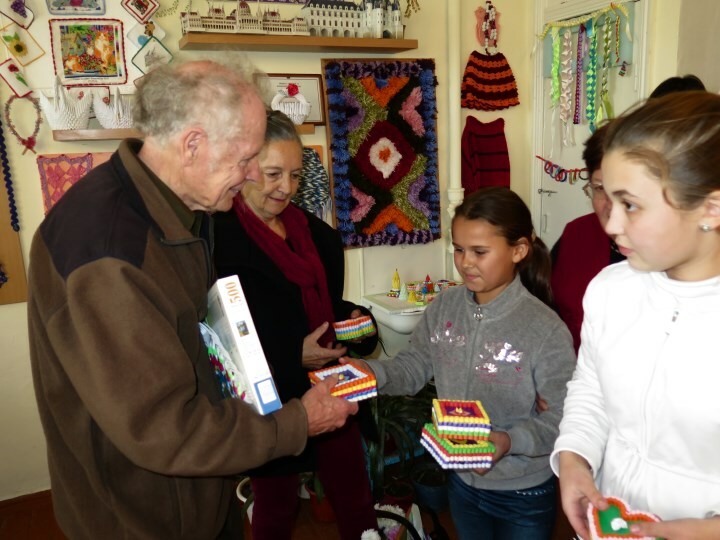 Maria� offers various courses to children from deprived, socially vulnerable families from Grigorauca. Among these, the dance course is beloved. Children learn different dance types, such as jaif, quickstep, waltz, tango, bachata, jazz funk, dancehall etc. The Moldovan folk dance is a special dance type, which reflects the Moldovan spirit. Children learn willingly hora or sirba. Moldovan folk costumes surprise with beauty and tradition. The lack of Moldovan costumes was a problem for the children of the center. 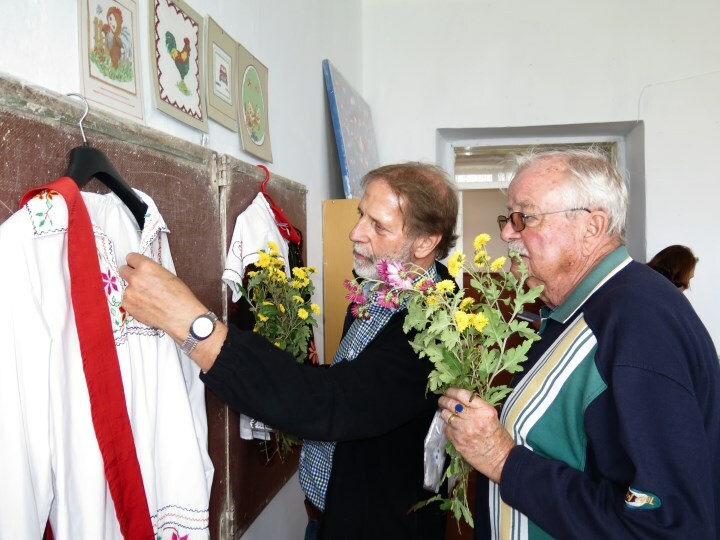 During his visit in April 2015, Dr. Robert Roithmeier (President of �Menschen helfen e.V.�) approved the purchase of Moldovan folk costumes. Thus, 15 women and 15 men costumes were bought. The children are very happy about this gift. The meeting day within the swisscor camp in Mels took place on July 27, 2015. 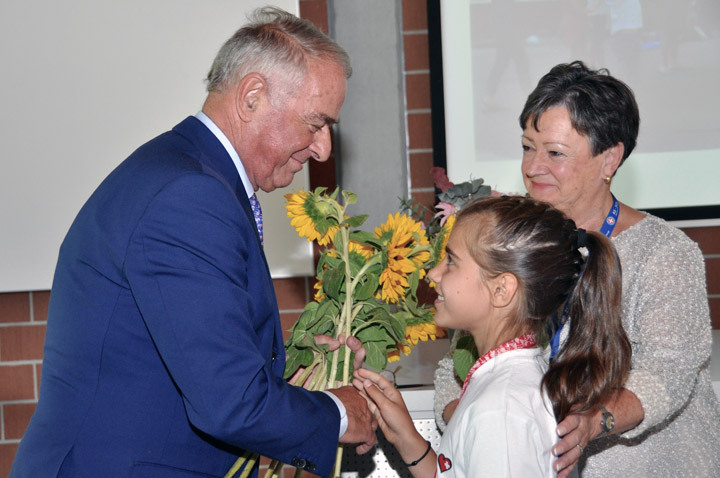 The children had the opportunity to get to know the former President of Switzerland and at the same time the founder of swisscor, Mr. Adolf Ogi. 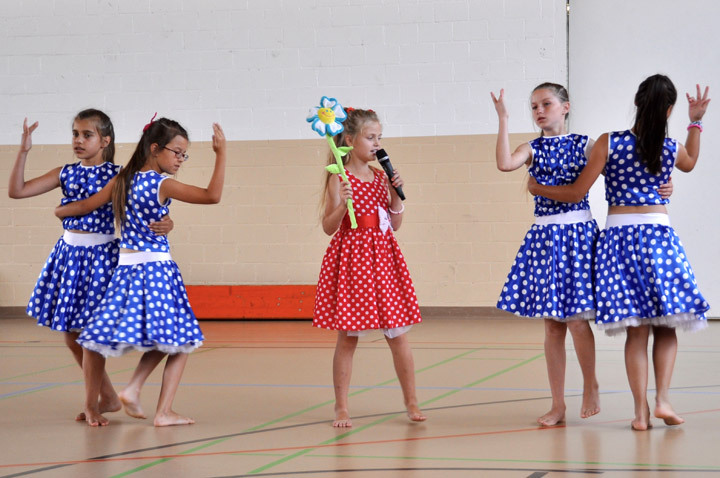 Children prepared a wonderful performance with songs and dances for the meeting day. Mr. and Mrs. Peter and Martha Garst, Mr. and Mrs. Heinz and Margrit Haenggeli, Mrs. Beatrice Amann were also present on this day. The girls from the day care center for children BUNVOLENTIA Cojusna had great joy meeting the guests. They also received gifts from the Haenggeli family and Mrs. Amann. The swisscor camp took place between July 16 and July 30, 2015 in Mels, Switzerland. 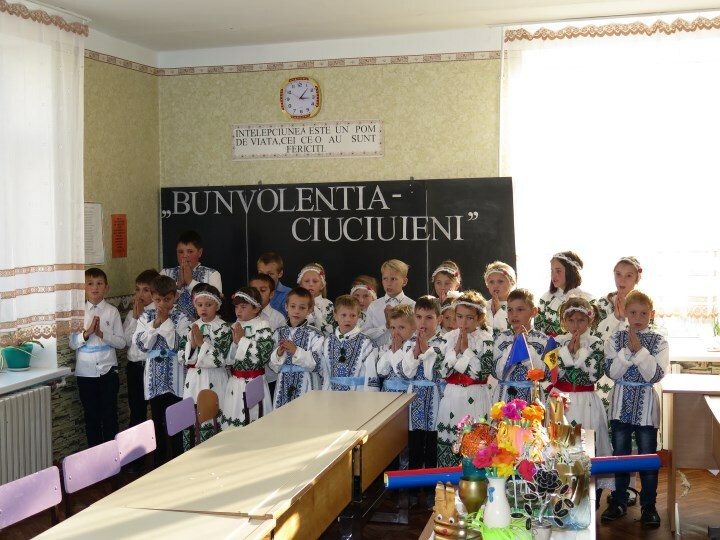 Among 69 children from Moldova there were five children from the day care center BUNVOLENTIA Cojusna (project of �Help for Children in Need� (HCN). 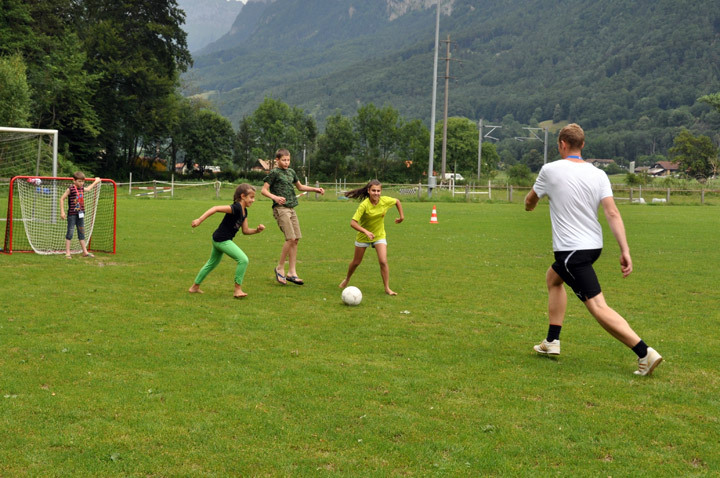 The swisscor camp was an unforgettable experience for children. 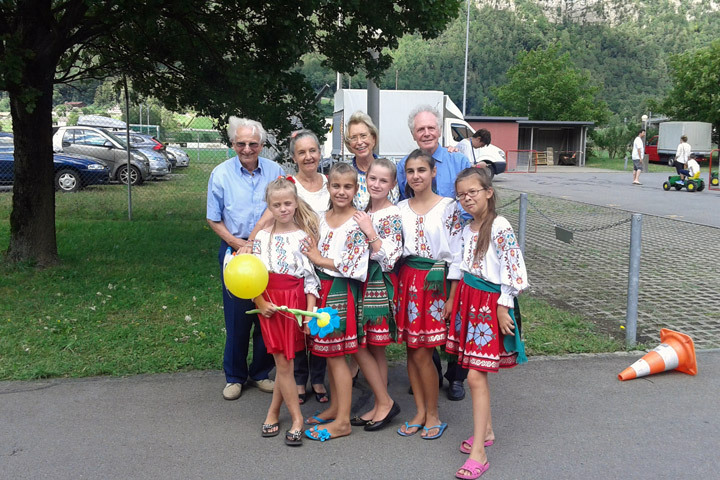 Besides the medical assistance (dental treatment, analysis, new hearing aids and glasses), the children could meet a part of Switzerland and Liechtenstein. They were in the mountains (Flumserberg), in Ridamm city and in the zoo (Z�rich). During the leisure time, games, workshops, beauty shops, cinema, etc. were organized. The young volunteers from the Swiss Red Cross and the members of the civil protection looked after that children were occupied and safe. Our five girls became friends with other kids and came back with thousands amazing memories and experiences. Mrs. Ursula Honeck, President of the German organization �Hilfe f�r Osteuropa e.V.�, and Mr. Gunther K�llner from the same organization visit Moldova twice a year. They came on their second visit this year. 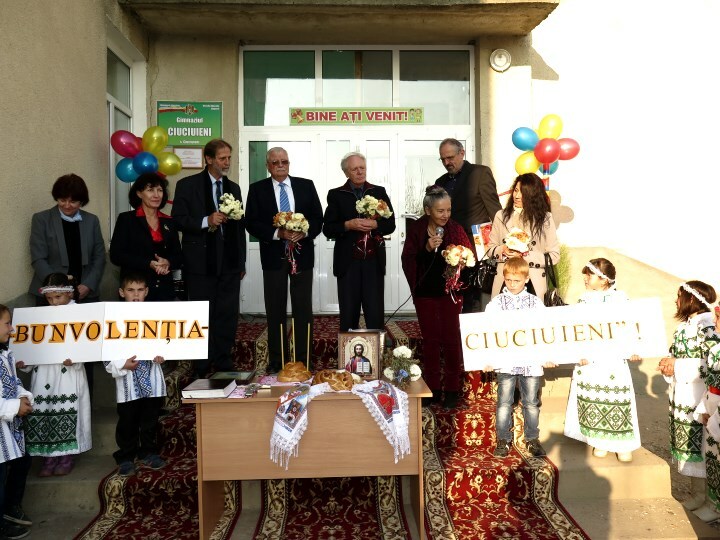 Mrs. Honeck and Mr. K�llner travelled to Orhei and Edinet. They discussed among other things about the next transport with humanitarian aid. Mrs. Honeck and Mr. K�llner visited also the republican hospital from Chisinau. The meeting with the financed families was traditionally organized; they received the financial support from their sponsors from Germany. The program in support of students from needy, socially deprived families started in 2006. The Swiss �Solon Foundation� is financing annually the studies at a university for 50 students since then. 108 young people were educated in the period from 2006 till 2015. The majority of them found good jobs, so that they are able to support themselves and their families now. 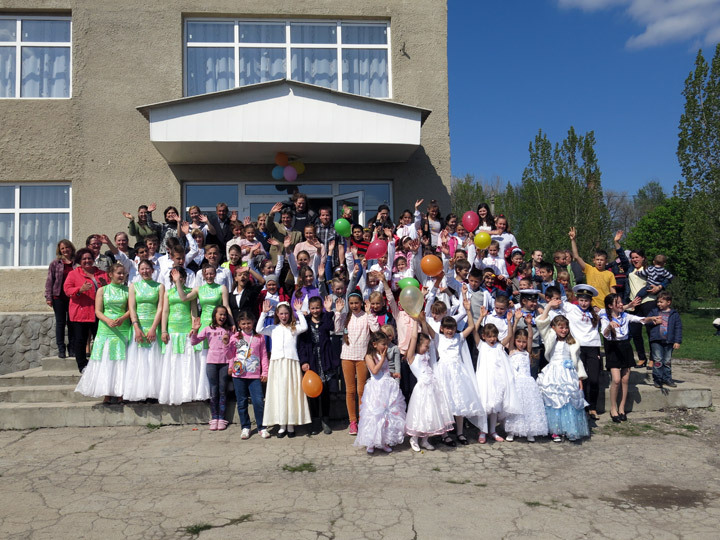 The graduates of the day care center for children �St. 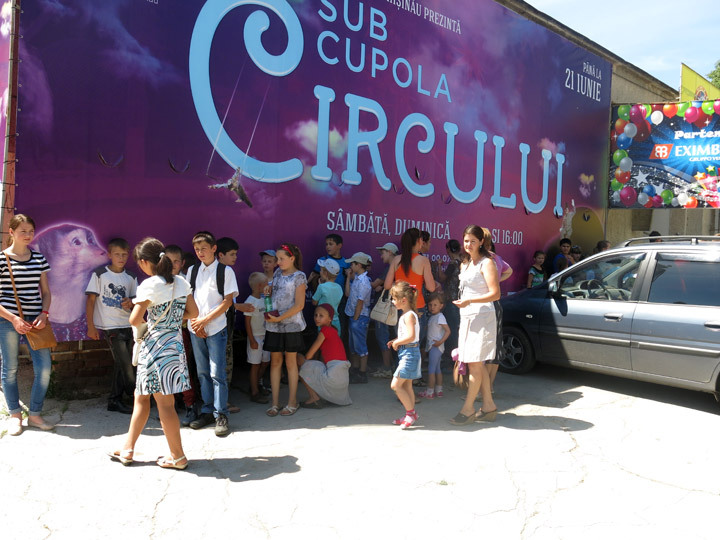 Maria� from Grigorauca travelled to Chisinau to a charity festival on June 27, 2015. The festival was dedicated to ill children who suffer from epidermolysis bullosa. 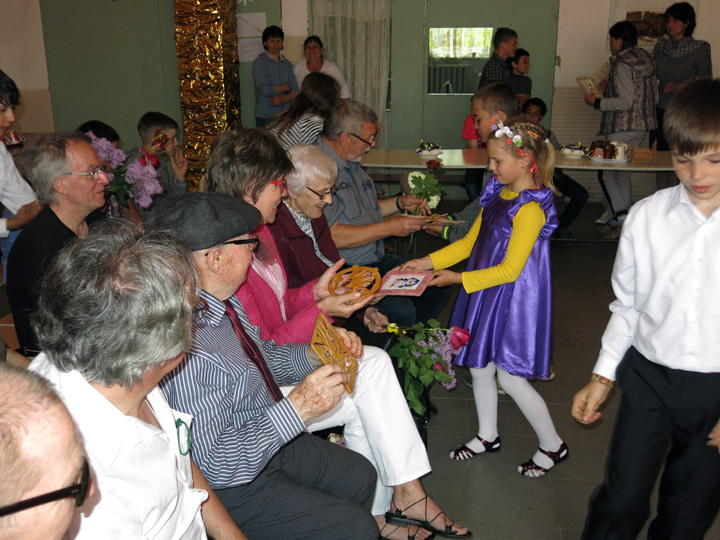 It included a cultural program, a concert, dances, a fancy fair and various entertainment possibilities. The children were receptive to the pain of other children. They understood that there are other children who have more severe problems. They tried to help these ill children by buying fancy articles from the fair. 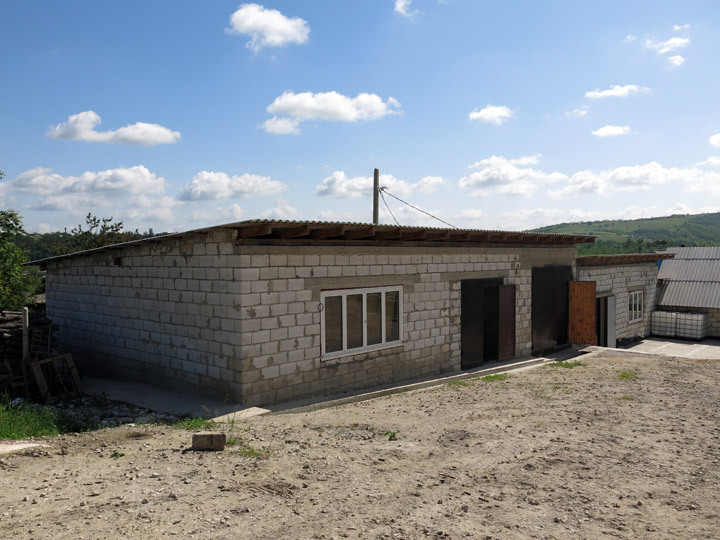 As already mentioned, the repair works for initiation of a production and training bakery in the village Sarata Galbena were officially started on May 28, 2015. The repair works are in progress. 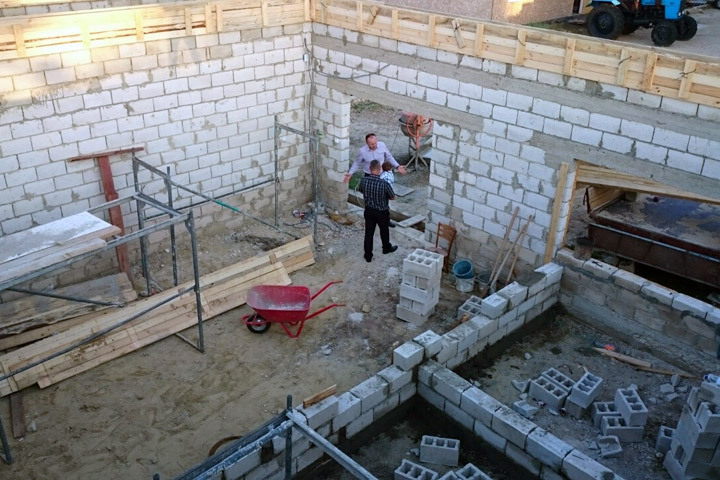 At present the roof, the wind porch and the dividing walls are built. We are one step closer to supply poor children and families with fresh bread. 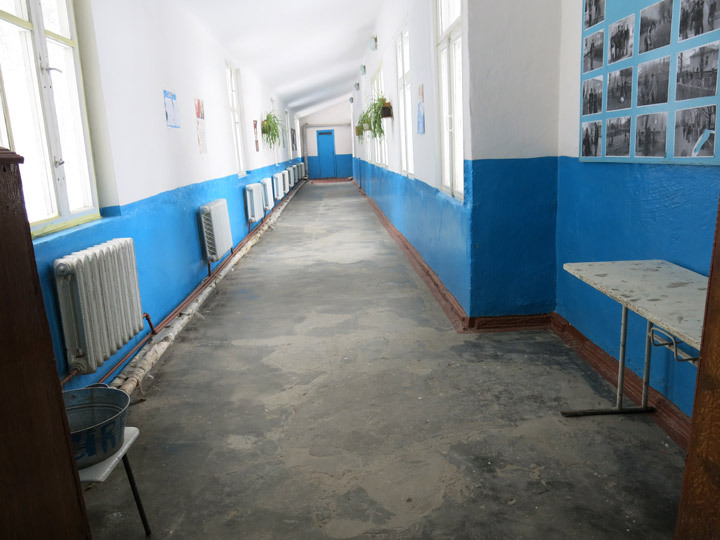 - Repair of the multipurpose hall of kindergarten in Gangura. There are summer holidays. The children enjoy nice weather and recreation. The deprived children from 14 day care centers BUNVOLENTIA are happy about the opportunities offered by the summer holidays. Above all they enjoy the summer camp. It always creates wonderful impressions and memories. 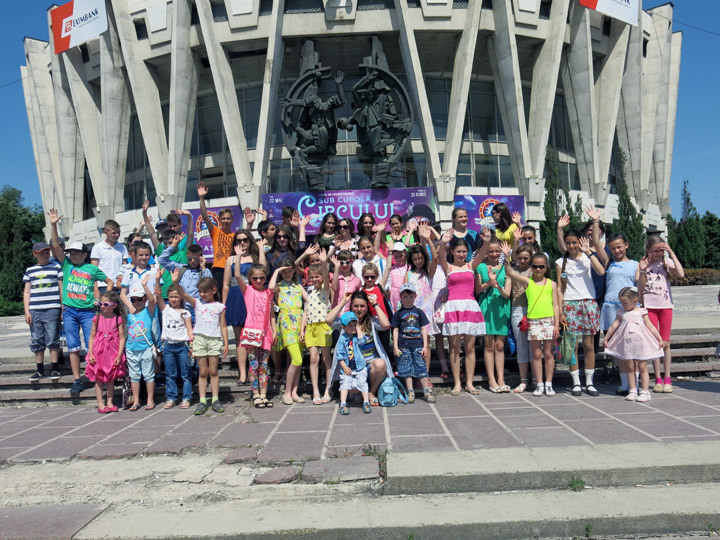 Nine day care centers for children from the district Singerei decided to visit the circus in Chisinau this year. We can hardly describe the joy of the children. For the first time, they have seen a circus performance. Then they rested in nature and had a delicious snack. 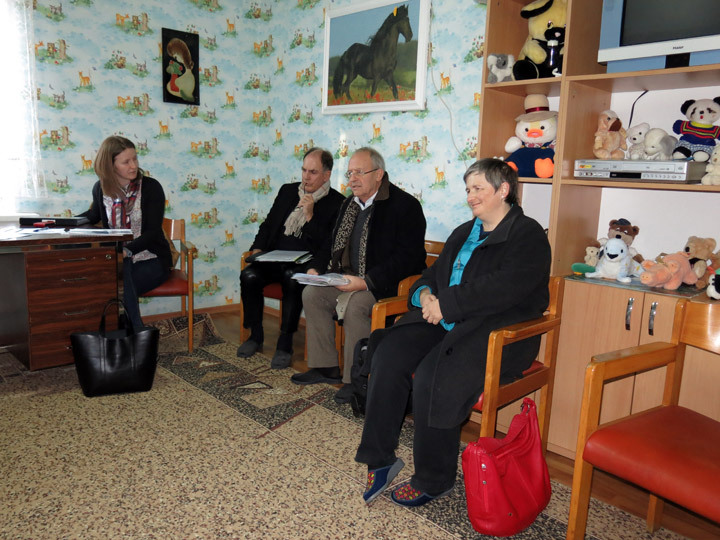 During the visit of Dr. Robert Roithmeier, President of the German organization �Menschen helfen e.V.�, together with other members of the organization (end of April 2015) in Grigorauca, the question concerning new computers for the day care center for children �St. Maria� was discussed. There are two computer rooms in the center. One room was supplied with seven new modern laptops for older children in 2013. The second room had outdated PCs that have been repaired for several times. Dr. Roithmeier approved the purchase of seven new PCs. The smaller children can work on good, modern computers now. It is to mention that the computer course is one of the most popular and visited courses in the center. The children are very happy and grateful for this gift. 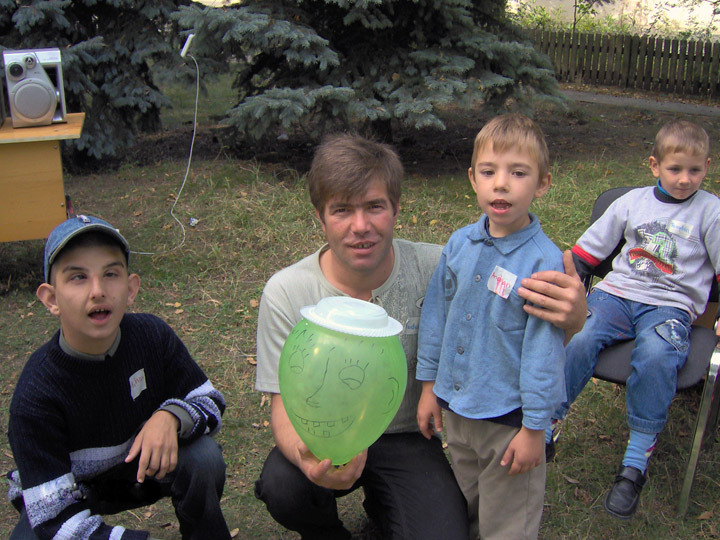 The children, who attend the day care center for children �St. 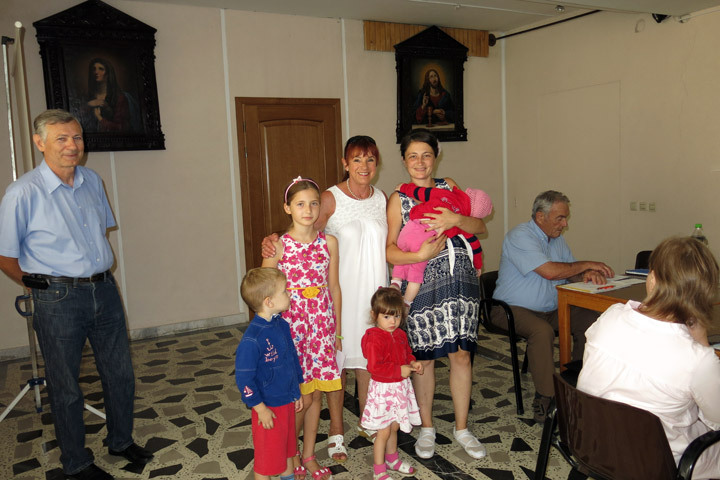 Maria� in Grigorauca, had a great occasion for joy on the weekend. 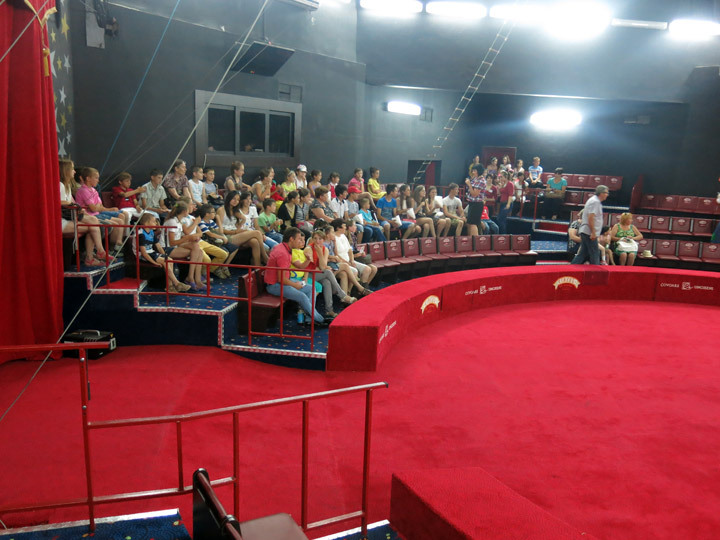 The most active girls and boys that take part in cultural and social activities within the center visited the circus in Chisinau. It was an impressive trip for them, because they went to circus for the first time. 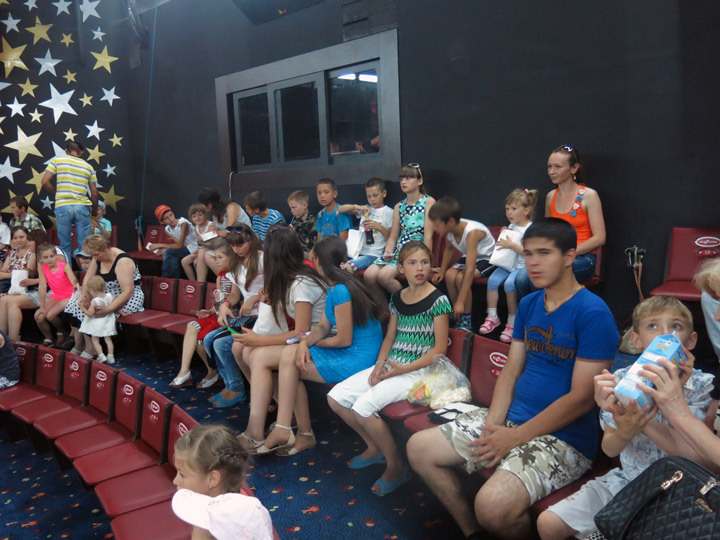 After performance, the children could enjoy a meal in a pizzeria from Chisinau. This beautiful action was supported by the German organization �Menschen helfen e.V.�, President Dr. Robert Roithmeier. 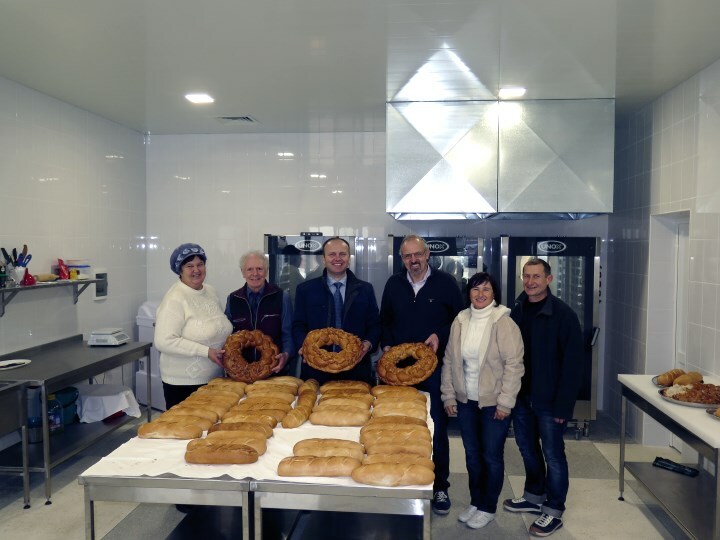 The project for initiation and equipment of a production and training bakery in the village Sarata Galbena, district Hincesti started officially today, on May 28, 2015. All parties that are engaged in the project signed the cooperation agreement today. This is a project that insures the daily bread for poor, social vulnerable families from the village Sarata Galbena and seven close located villages. These families will receive bread free of charge. It will also train young people from the village as bakers. The Swiss foundation swisscor (www.swisscor.ch) organized on May 16 and 17, 2015 a seminar for the companions of children in Mels, Switzerland, where the next camp takes place. The companion of our children from the day care center BUNVOLENTIA Cojusna participated in the seminar too. It was an informative and interesting meeting. This seminar brings us one step further to swisscor-camp. 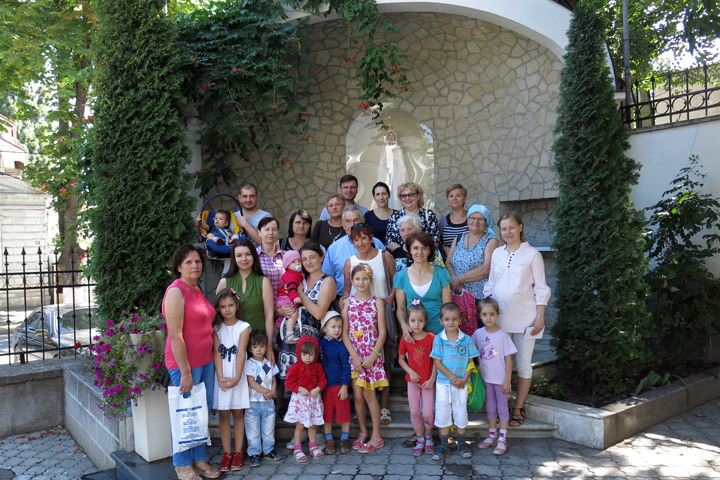 A group from �Pro Moldavia e.V.� came in Moldova to visit the projects of the organization. The group went to see the projects in cooperation with PRO UMANITAS. They were in the commune Gangura. �Pro Moldavia e.V.� finances the running costs of the day care center BUNVOLENTIA Alexandrovca. 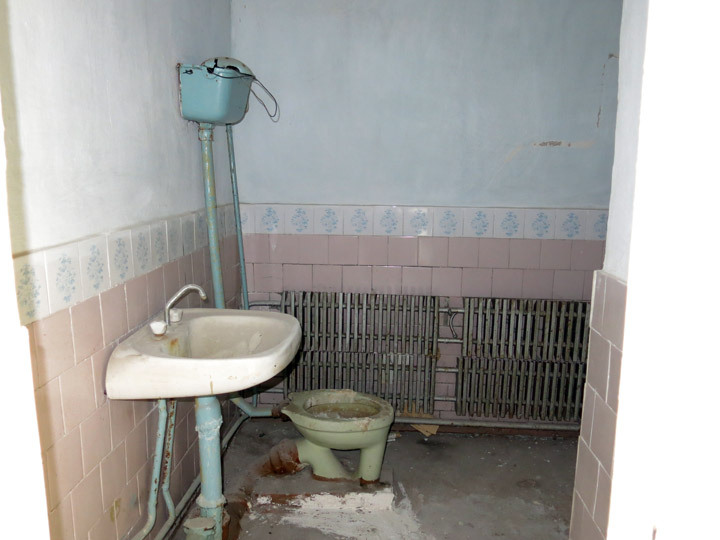 The guests could see the living conditions of two families there. 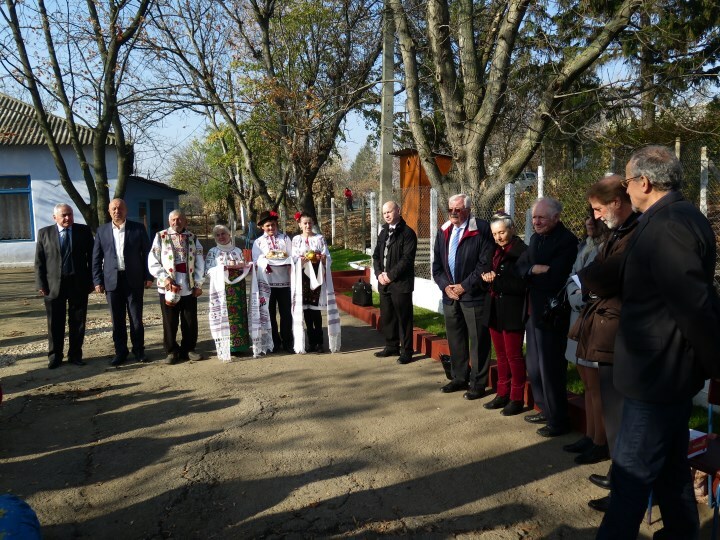 The official opening and blessing by the local orthodox priest of the multipurpose hall and the medical section of the kindergarten (projects financed by Kindermissionswerk) took place in Gangura too. Our visitors brought great pleasure to the little ones. They donated three floor carpets for the multipurpose hall. A second trip was made to Grigorauca. 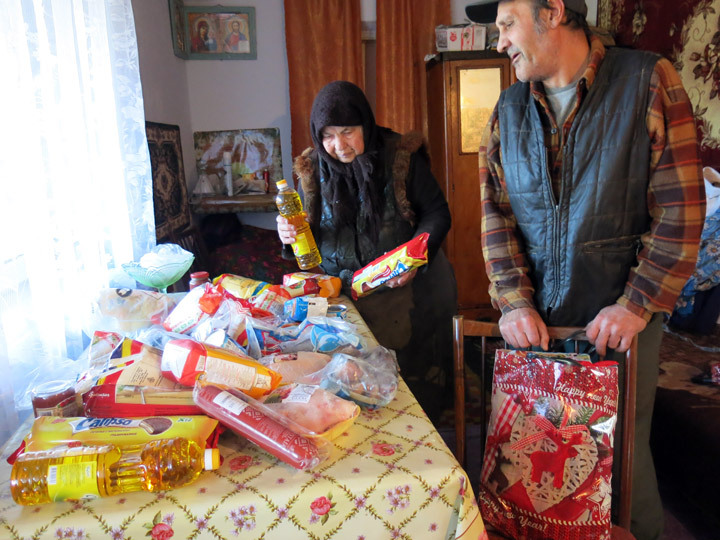 Annually, the old people from this village are supplied with food packages on Christmas. There are also organized Advent meetings there. Both projects are financed by �Pro Moldavia e.V.�. The guests were warmly welcome everywhere. The children surprised them with wonderful concerts. 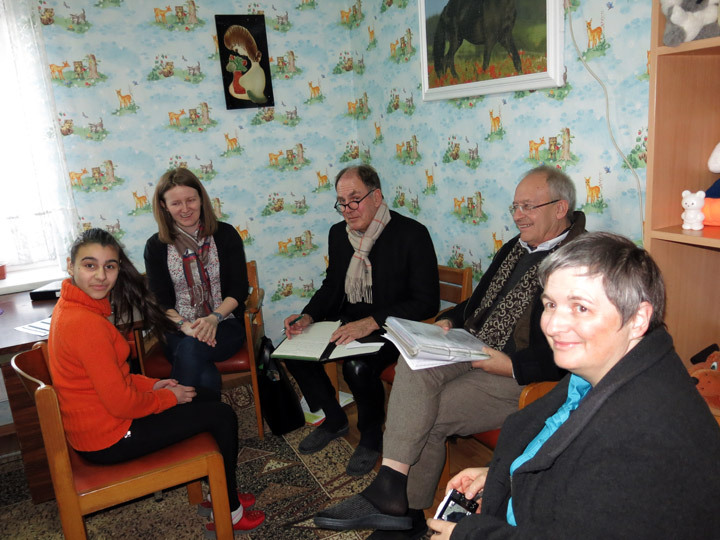 Dr. Robert Roithmeier, President of the German organization �Menschen helfen e.V.�, came to visit in Moldova together with other four members of the organization. They visited the day care center �St. Maria� in Grigorauca. The organization finances the running costs of the center since 2009. The guests were surprise by the children of �St. Maria� with a concert and puppet theatre in German. The boys and girls prepared self-made gifts. The group also visited other projects of PRO UMANITAS. A further surprise for the children from the kindergarten of the commune Gangura was the repair of the medical section. Up to now there was only a small room, which served at the same time as the office of the head of the kindergarten. There were no rooms for treatment in case of an accident or disease. 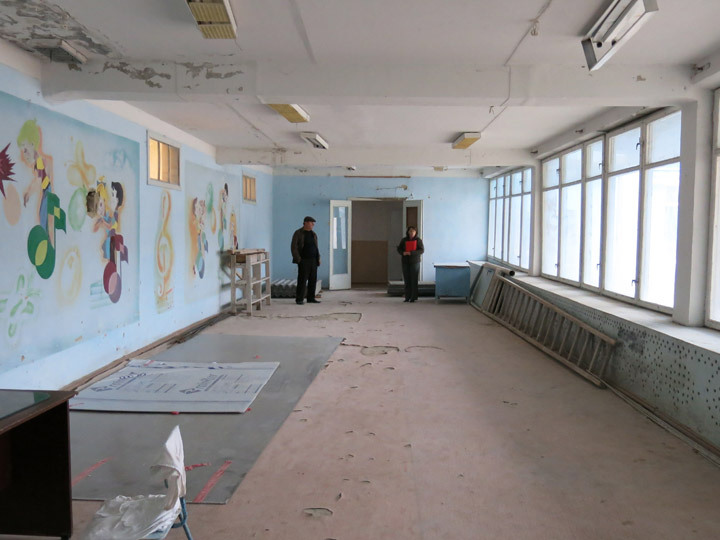 With financing of Kindermissionswerk we could repair the medical section and equip appropriate rooms for treatment. This project will ensure the good functioning of the kindergarten. 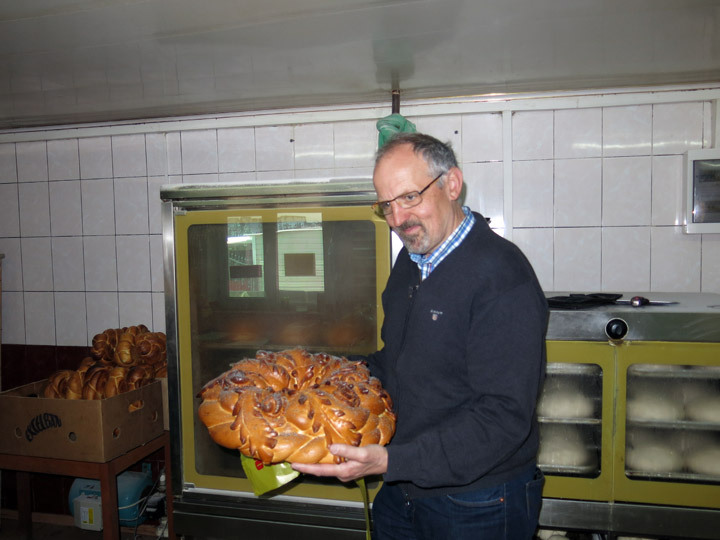 A master baker from Switzerland, Mr. Kaspar Haug, visited several common projects of PRO UMANITAS and HCN in Moldova, among these two bakeries in Straseni and Ochiul Alb. 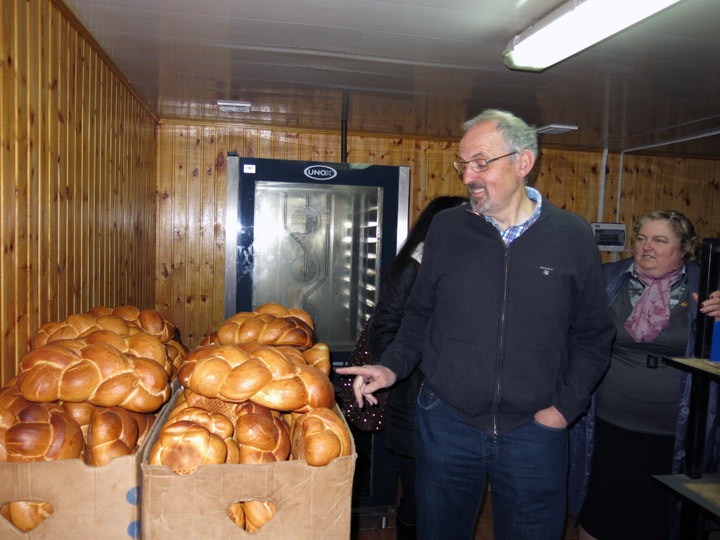 He was surprised at the functioning of these two Moldovan bakeries. 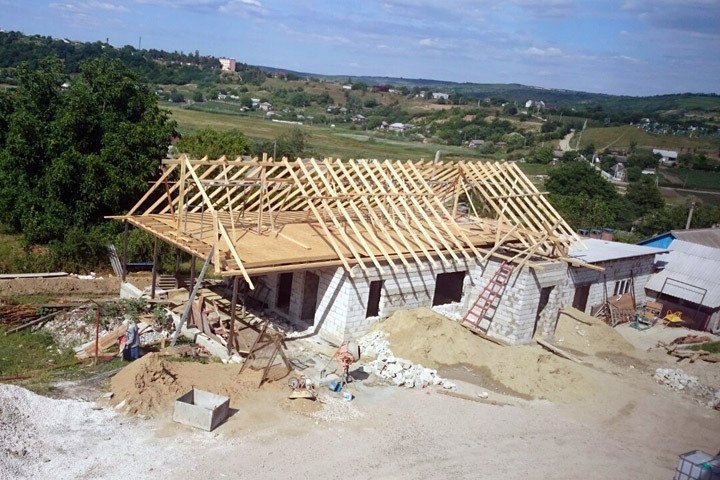 They were built with the help of �Help for Children in Need� and other partners. 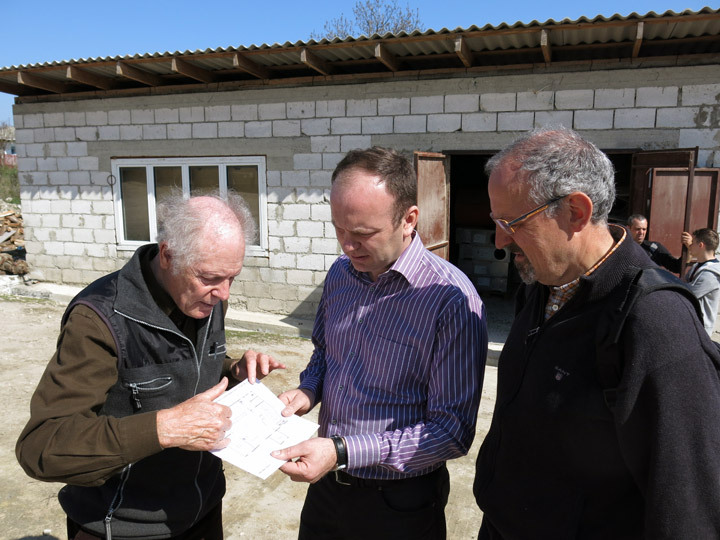 Mr. Haug visited the village Sarata-Galbena on April 24, 2015. There is planned a production and training bakery. The master baker controlled the project, examined the building and made proposals for a good functioning of the bakery. Mr. Haug is ready to engage with his knowledge for the project in Moldova and Switzerland. 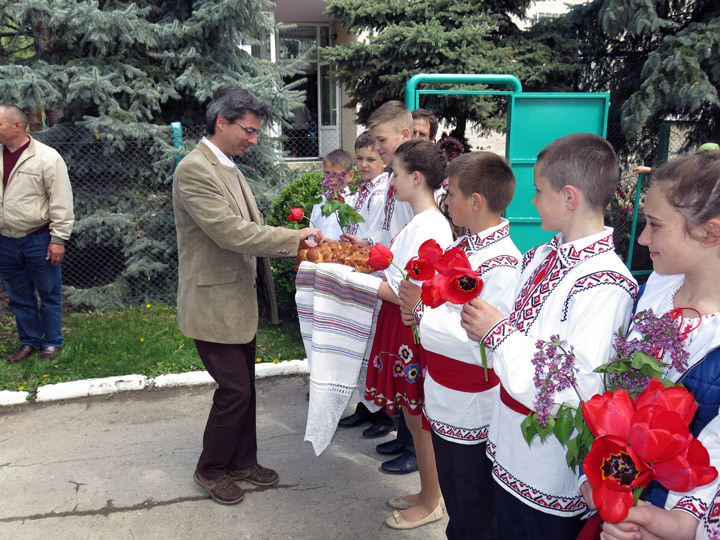 Mr. Peter Garst, the President of the Swiss organization �Help for Children in Need� (HCN), visited Moldova for the 26th time. 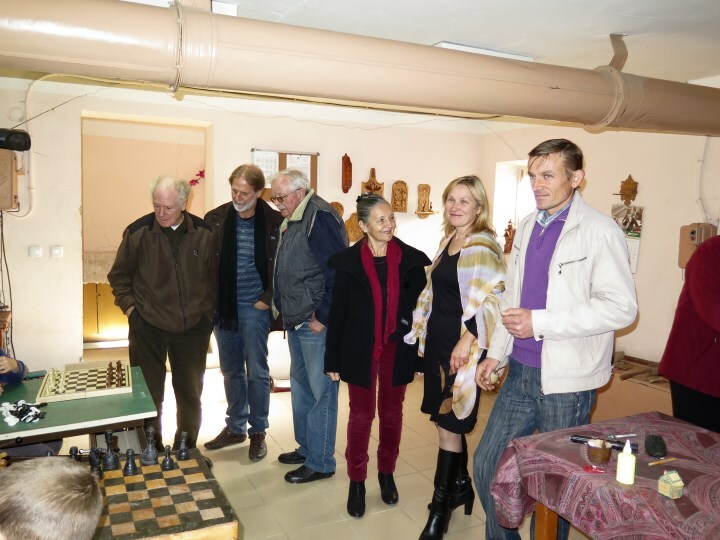 He was accompanied by Mr. Heinz Luginb�hl, who is a board member of HCN over 20 years, and by Mr. Kaspar Haug, a master baker, both from Switzerland. 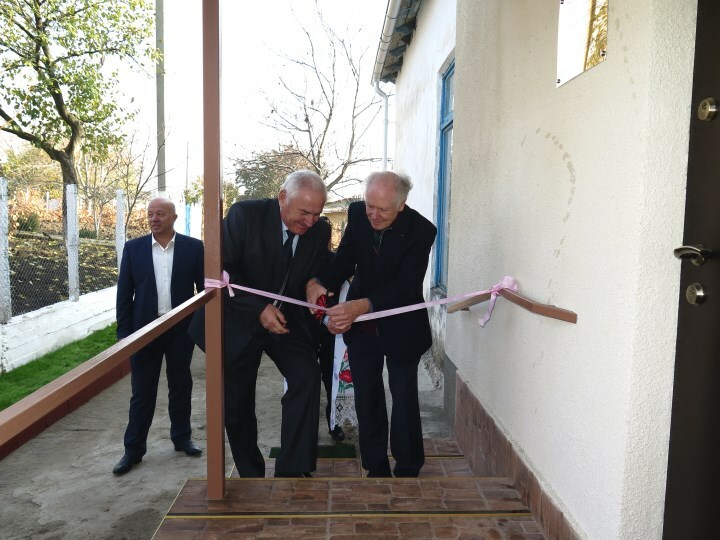 Mr. Lunginb�hl and Mr. Haug were for the first time in Moldova. 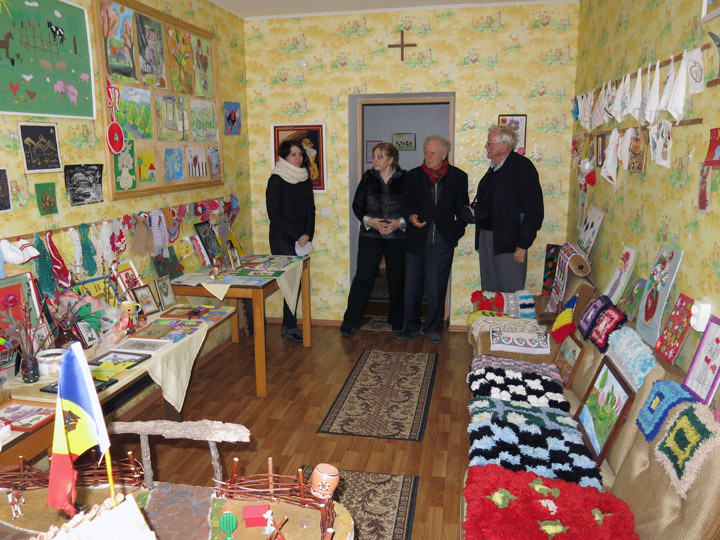 They visited many projects of HCN: day care centers for children BUNVOLENTIA, day care center for elderly �Sf. Petru� in Grigorauca. 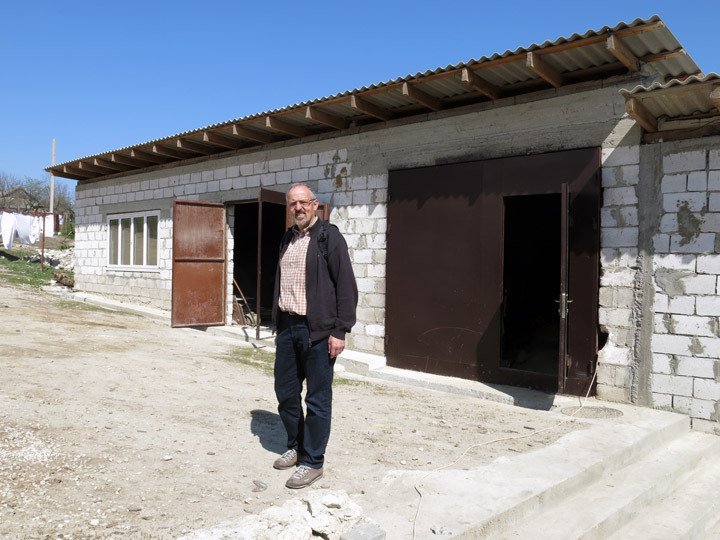 Other important goals of the trip were to examine the possibility of a new day care center for elderly in the village of Petrovca, and to make the final preparations for construction and equipment of a bakery in the village Sarata-Galbena. They all were excited about the visit to Moldova and very satisfied with the implemented projects. 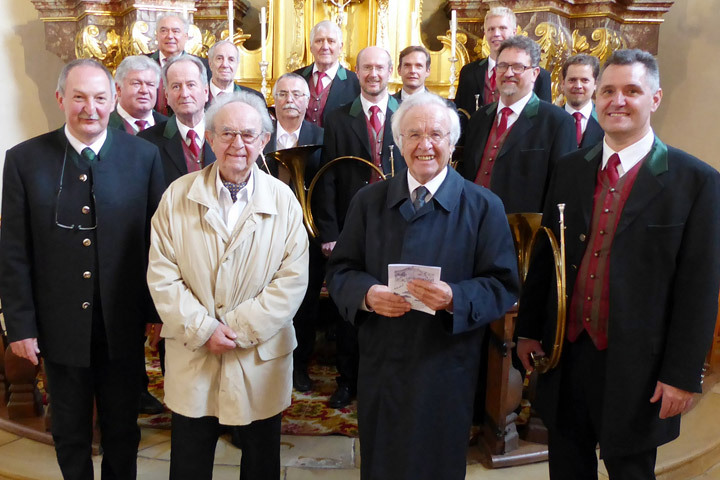 The hunting horn blowers handed over a donation of 1.000 euro to priest Hans Bock at a benefit concert in support of PRO UMANITAS in the Catholic Parish Church Kallm�nz, nearby Regensburg in Bavaria. Priest Bock was born in this parish and celebrated his first mass there in 1972. At the benefit concert in the marvelous rococo church, 200 listeners enjoyed natural horns of the �Oberpf�lzer Parforce horn blowers� and the well-known organist Prof. Josef Zilch. Priest Andreas Ganga from Kallm�nz contacted priest Bock. 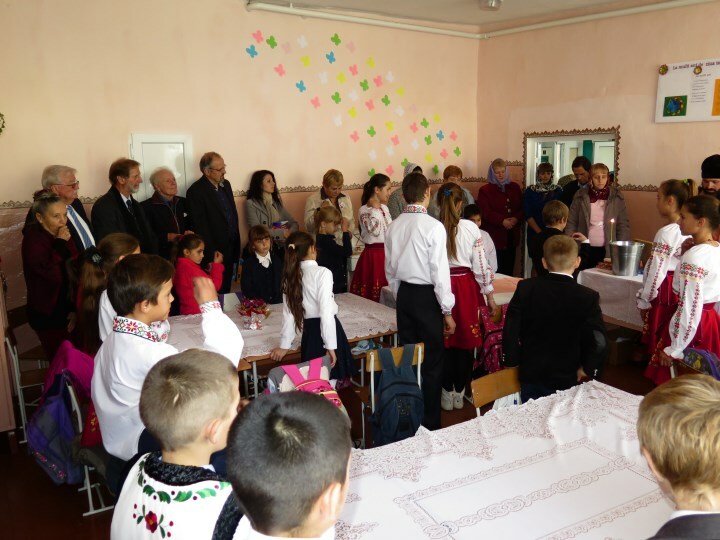 Priest Hans Bock thanked the participants at the concert for their commitment to the children in Moldova. 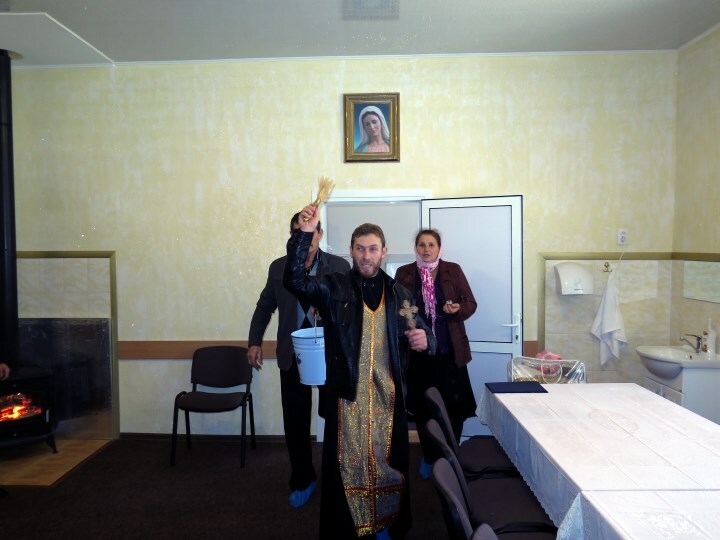 �This is true brotherly love�, thus, the priest assured that the money will be invested in children�s education. The small children from the kindergarten of the commune Gangura received a beautiful gift at Easter: they have now a large comfortable room for singing, dance, rhythmic and gymnastics. Until now there was no such room. 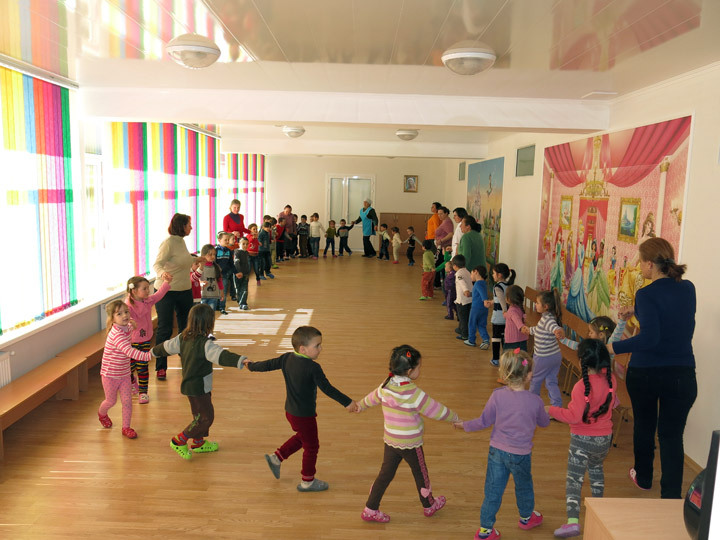 The children of the kindergarten (altogether 86) could not celebrate feasts together or make gymnastics together. Also, the parents could not participate in various measures, because there was no space. With financing from Kindermissionswerk, the multipurpose hall of the kindergarten was repaired and equipped. The children are very happy. Parents are satisfied too; this project allows them to participate in all feasts, events, etc. A gift from Hilfswerk Liechtenstein � electric organ � will make the activities of children in the multipurpose hall much funnier and cheerful. It has already become a tradition that the first seminar of the year takes place Cojusna. The 15th seminar (the first seminar in 2015) was organized today within the day care center for children BUNVOLENTIA Cojusna. Each of the 14 day care centers for children BUNVOLENTIA was represented by an educator. 24 people took part in the seminar. The financial and narrative reports, the children lists and other important papers were discussed. Every educator could talk about the activities of the children, about new occupations, but also speak about problems and wishes. As always, it was a nice and informative meeting. 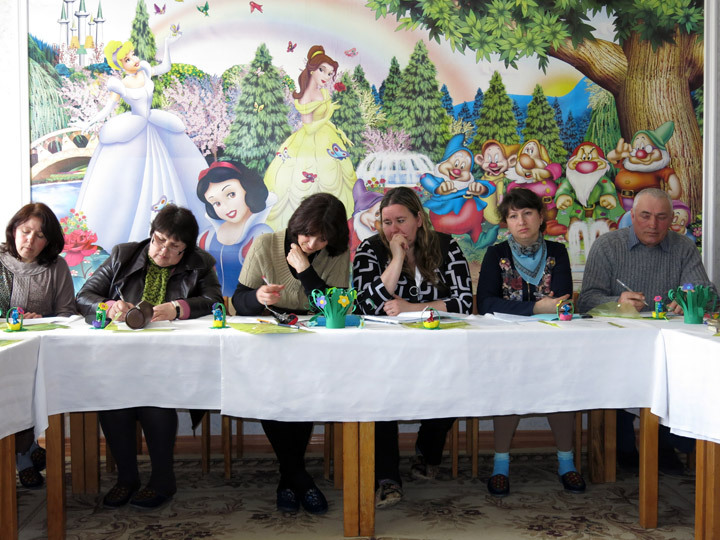 The project for care of physically and mentally disabled children from the district Singerei will begin its activity within the rehabilitation center �Luminita�. The goal of the project is socialization and care of children with special educational needs, children with disabilities and other diseases. 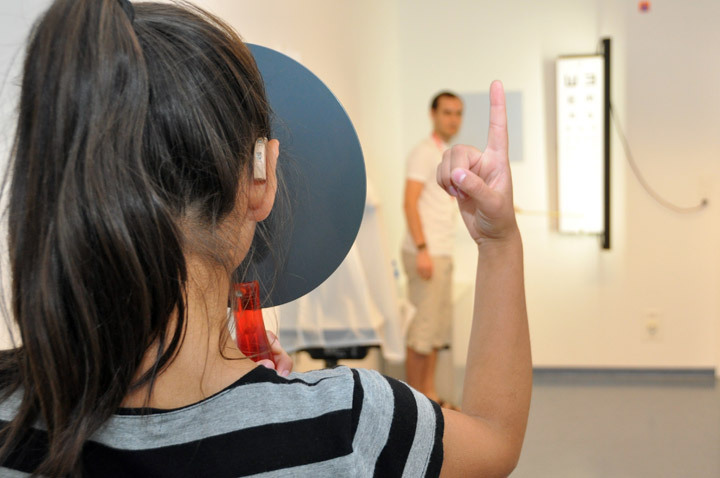 The project team consists of specialists � doctor, kinetic therapist, psychologist, etc. � who are willing to provide home care to such children, but also give advice and information to parents, school teachers, etc. Children included in the project (a total of 47 children) come from the villages Pepeni, Bilicenii Vechi and Copaceni from district Singerei. These villages were chosen, because the number of disabled and ill children is bigger here. The Swiss organization �Help for Children in Need� (HCN) takes over the costs of the project. 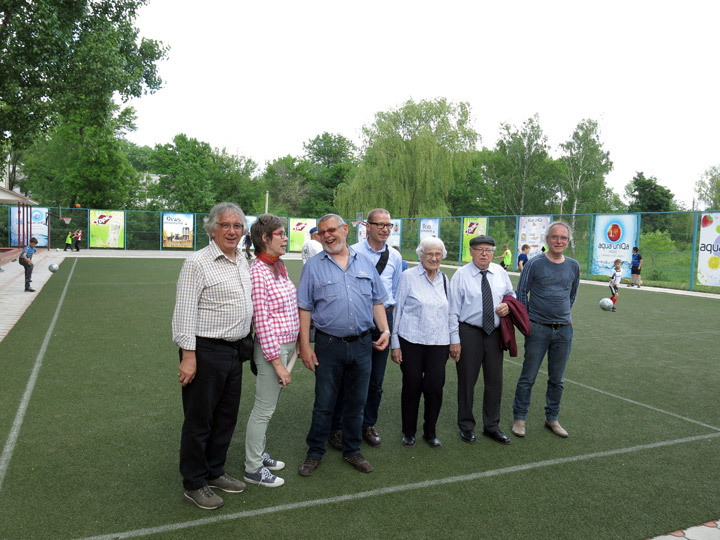 The representatives of the Swiss Foundation swisscor (www.swisscor.ch) came on visit to Moldova, in order to talk with the participants at the swisscor-camp 2015. 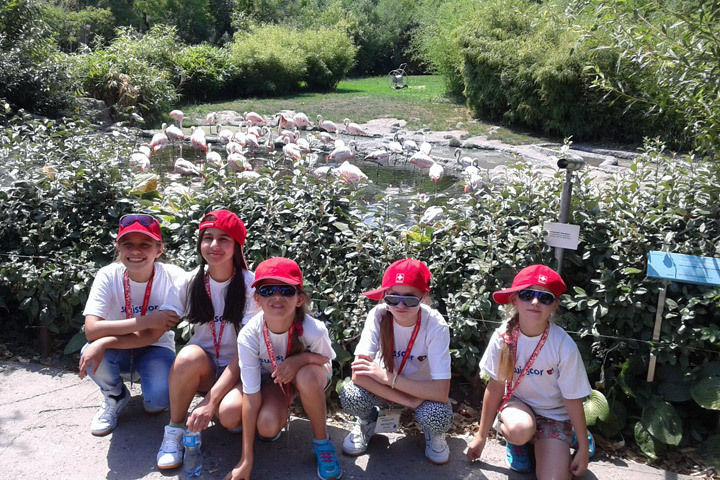 This is the sixth swisscor-camp for Moldovan children. The swisscor-camp 2015 takes place between July 16 and July 30 in Mels and receives about 70 children from Moldova. 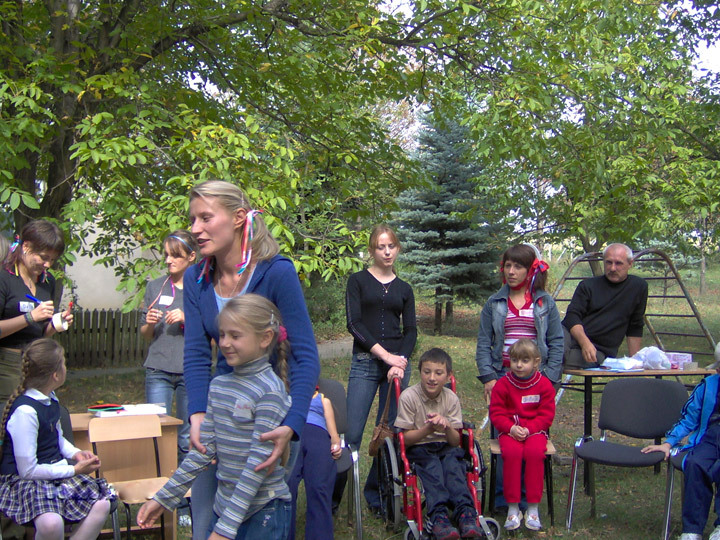 There are also children from the day care center BUNVOLENTIA Cojusna among these girls and boys. 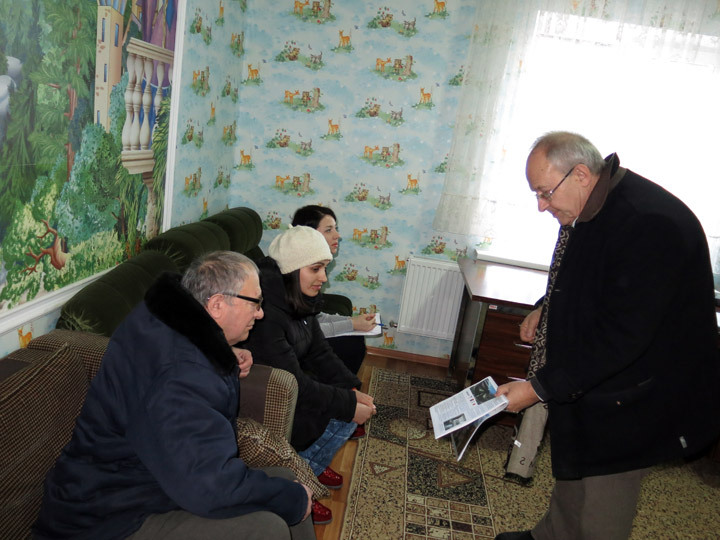 The General Secretary of the Foundation and two pediatricians were in Cojusna on February 18, 2015, in order to talk with parents and children. A first medical investigation of children was made. 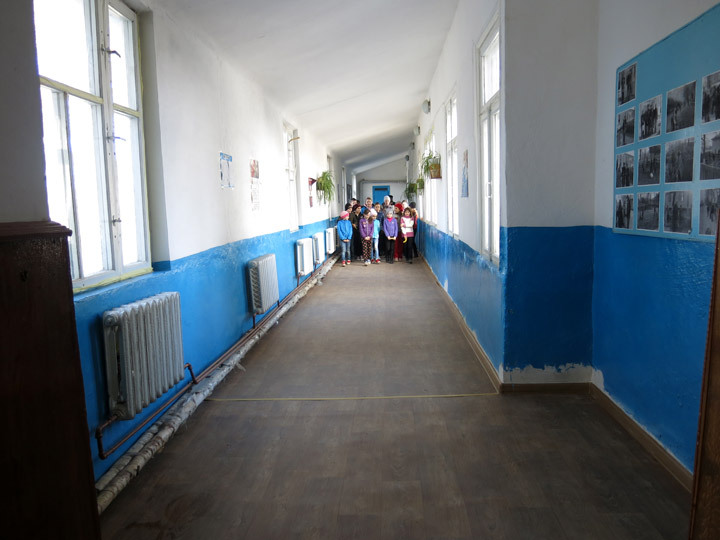 Another reason for joy for children from the school of Gangura: Thanks to the support of Mrs. and Mr. Helen and Gerry Z�hlke, Zug a linoleum and floor moldings were purchased and the floor of the school was repaired. The floor was damaged, gathered much dust and it was very difficult to wash it. These difficulties are now solved; this brought great joy to the school management and to children. With great joy we would like to announce that our annual Report of Activity 2014 is now available on our website under the Reports section. 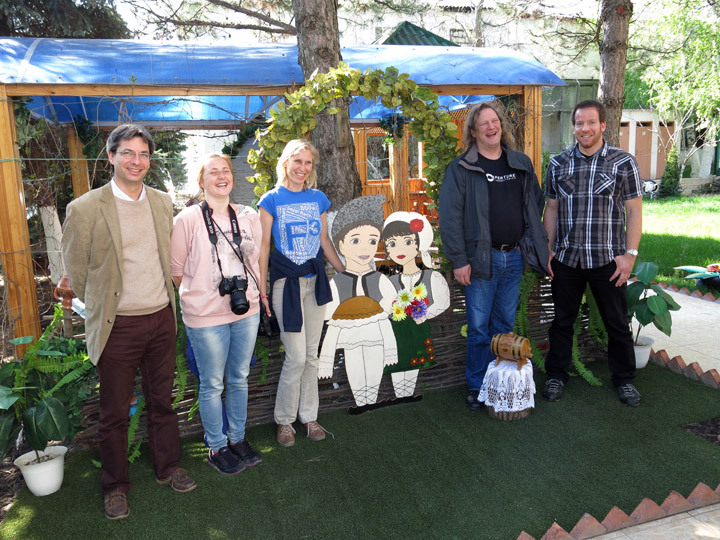 Mrs. Ursula Honeck and Mr. Gunther K�llner from the Organization �Hilfe f�r Osteuropa e.V.�, Todtnau are traditionally our first visitors this year. 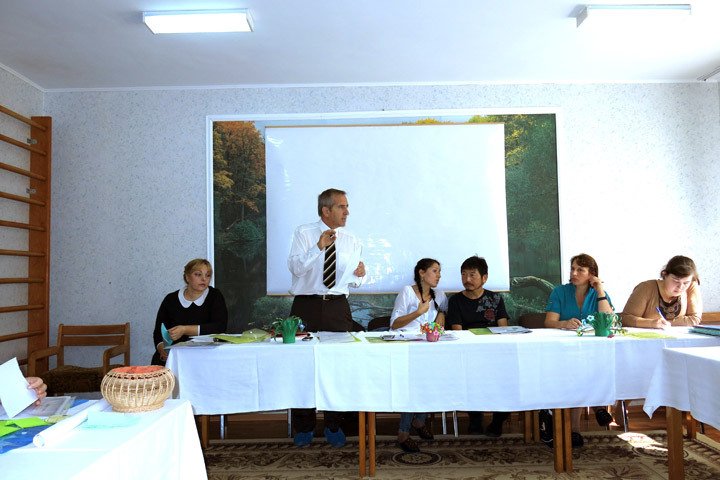 Mrs. Honeck and Mr. K�llner had various meetings in Orhei and Edinet, as well as in Chisinau. 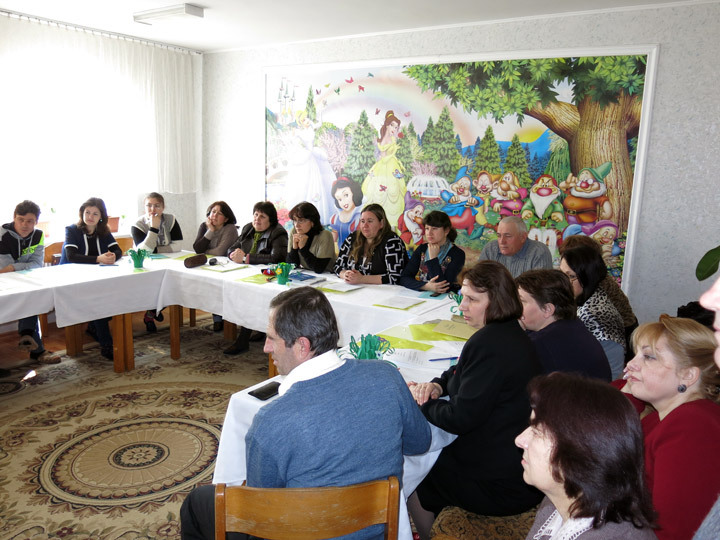 In Chisinau was organized among other things a meeting with supported families. These families received financial support and could thank the donors. It was a beautiful, familiar and cordial meeting. 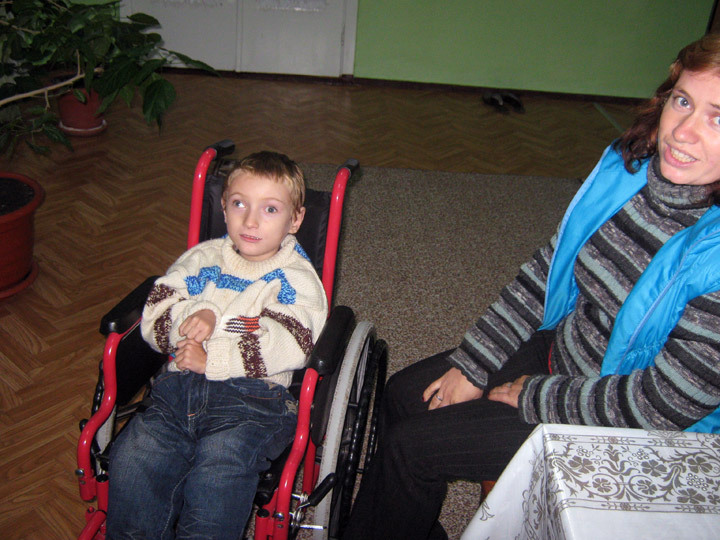 It should be noted that �Hilfe f�r Osteuropa e.V.� works in Moldova for 20 years. During this period, many people in need from our country received help and over 2000 t of humanitarian aid were delivered. - Water project in the commune Gangura.